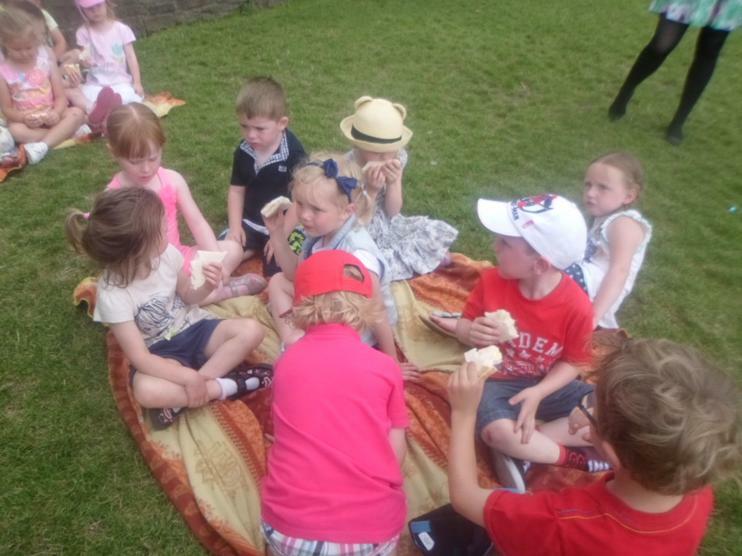 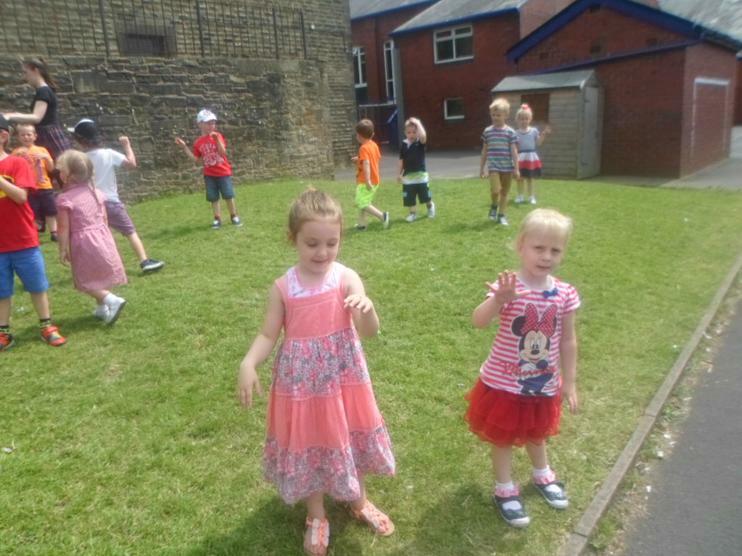 The foundation stage consists of 3 'Prime' areas of learning. 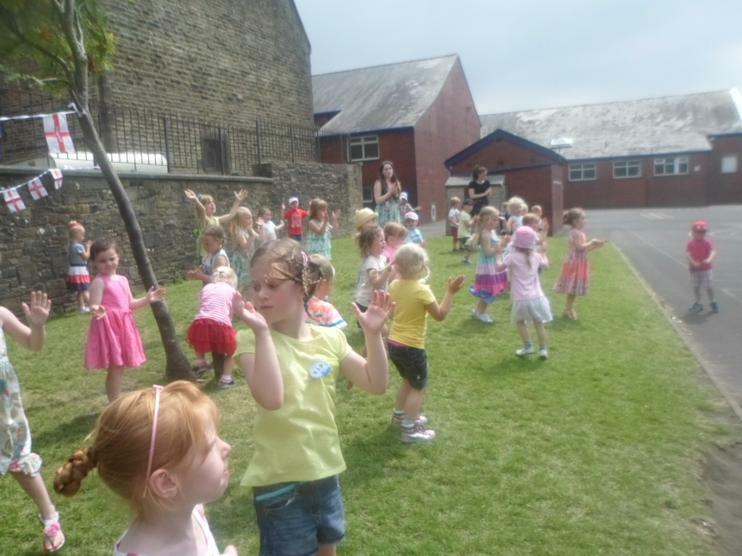 Which are: Personal, Social and Emotional development, Communication and Language and Physical Development. 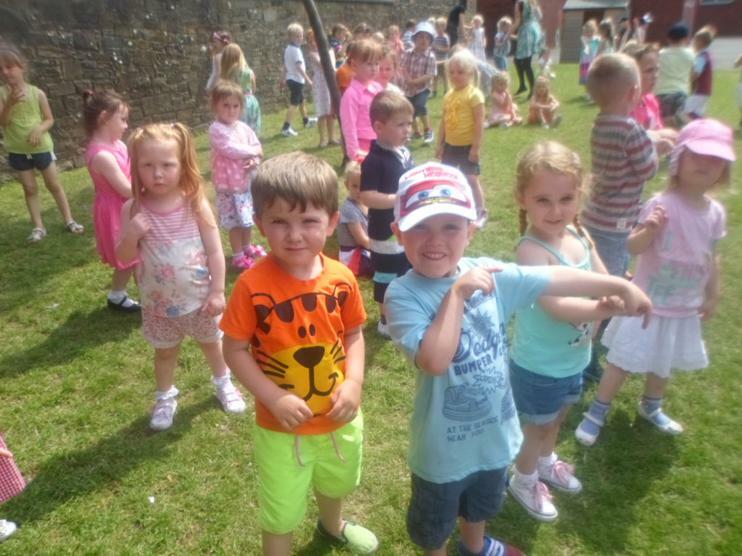 There are also 4 'Specific' areas of learning: Literacy, Mathematics, Understanding the World and Expressive Arts and Design. 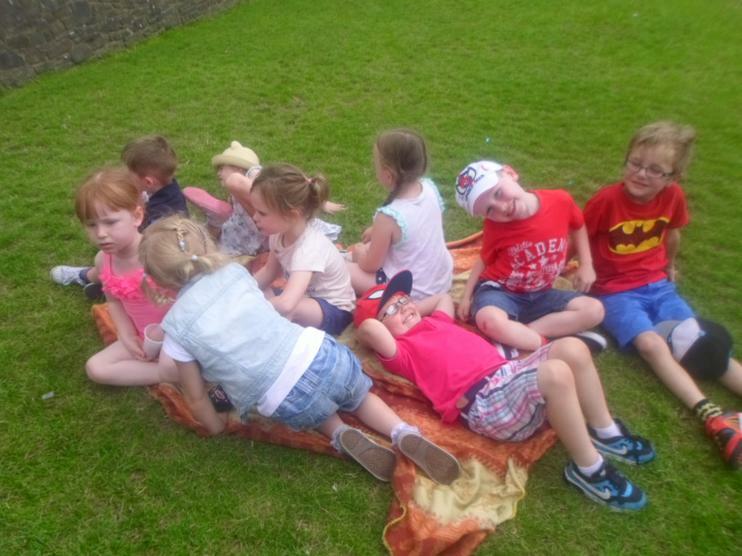 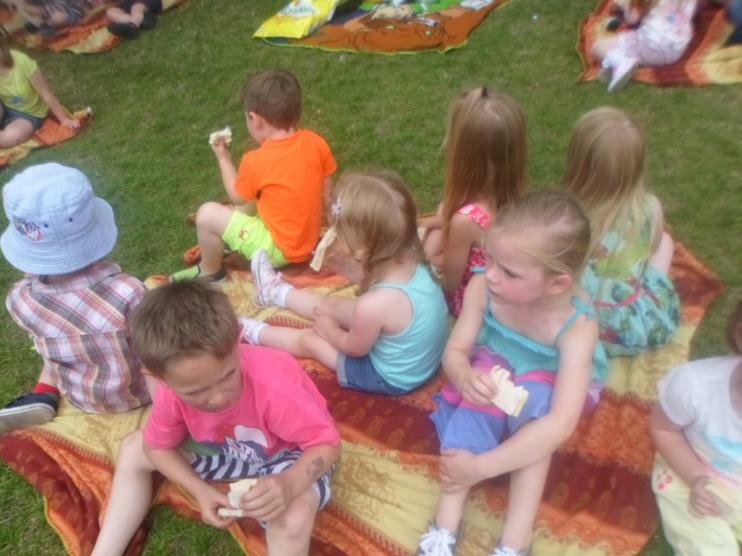 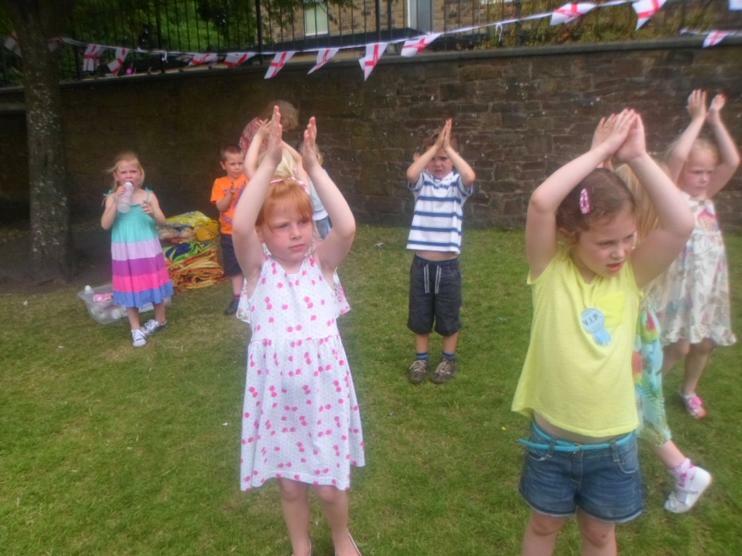 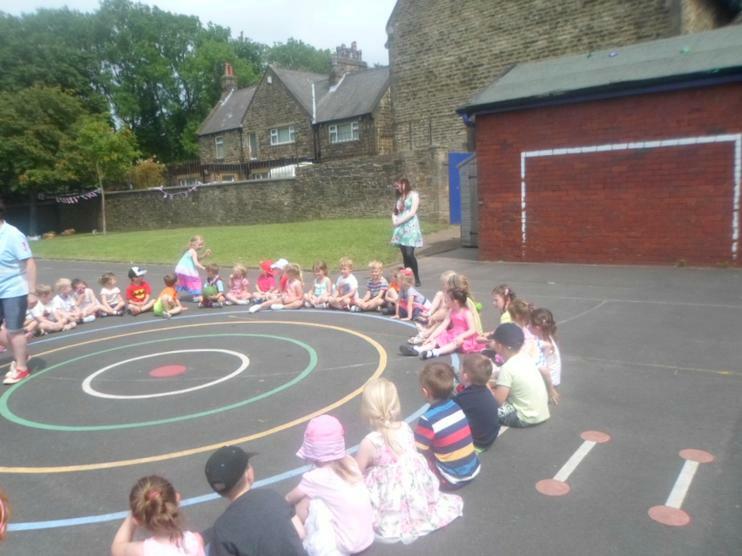 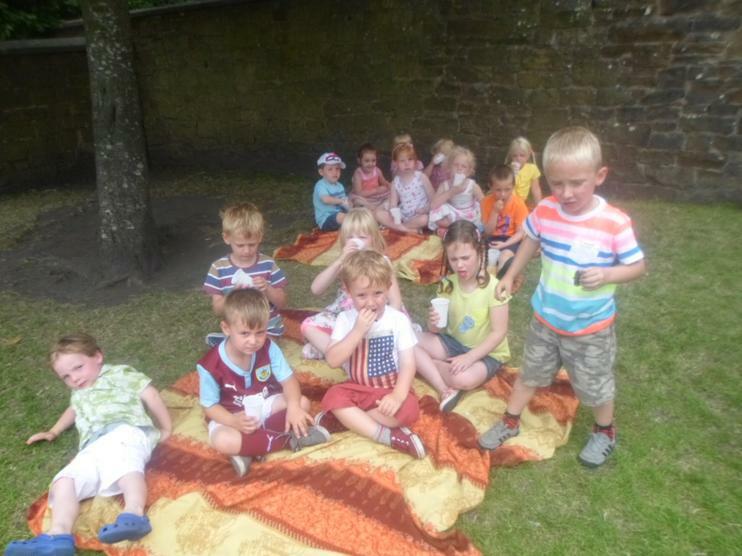 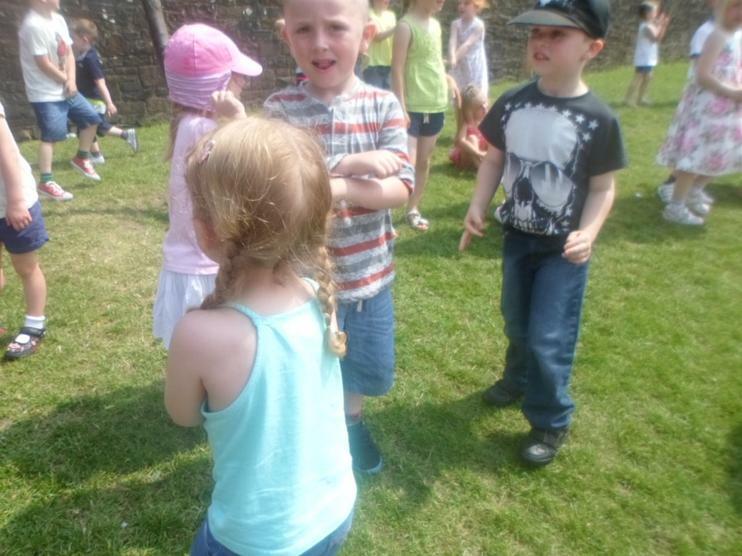 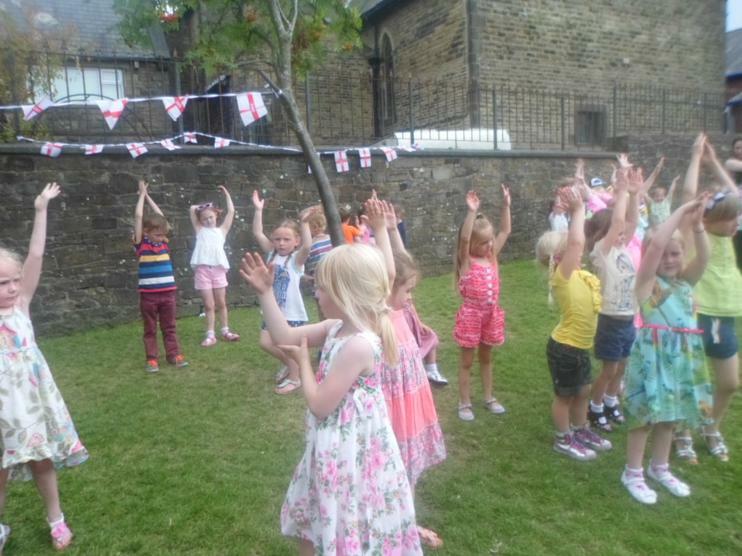 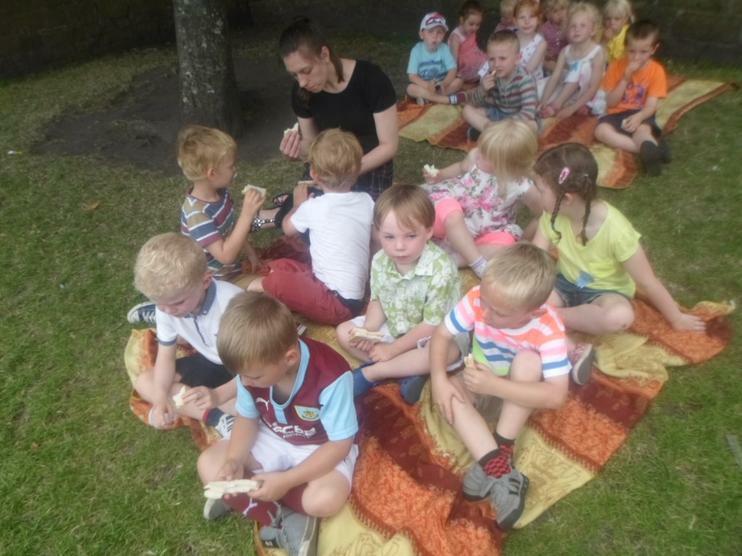 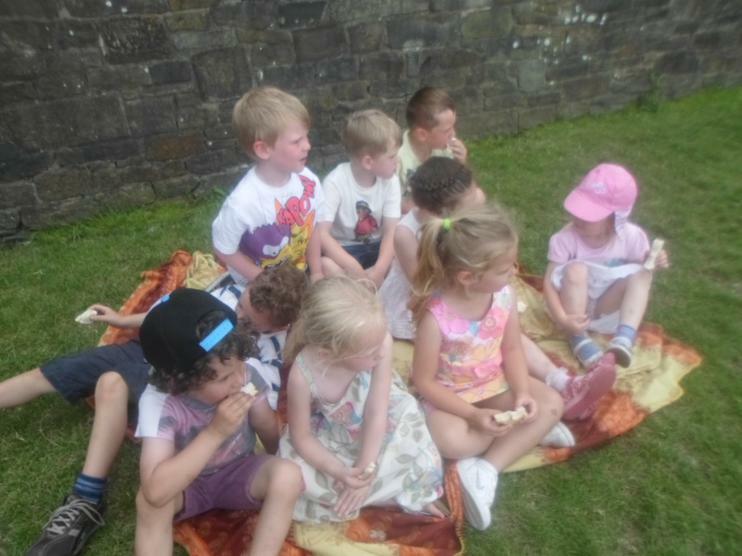 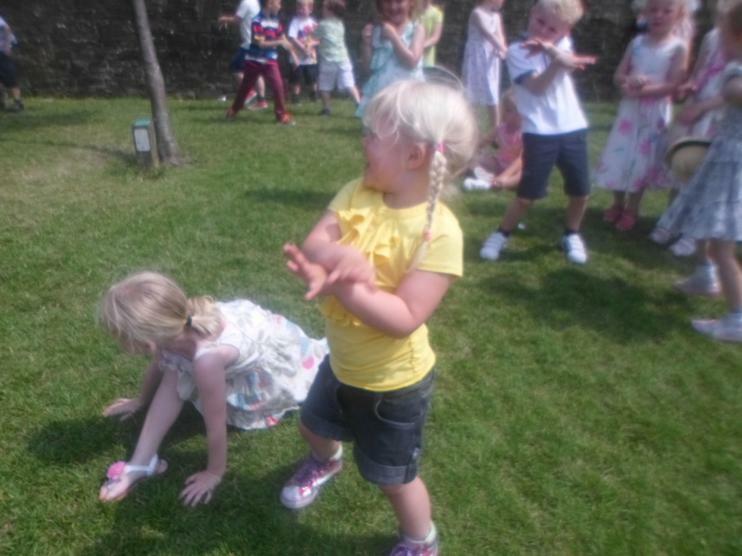 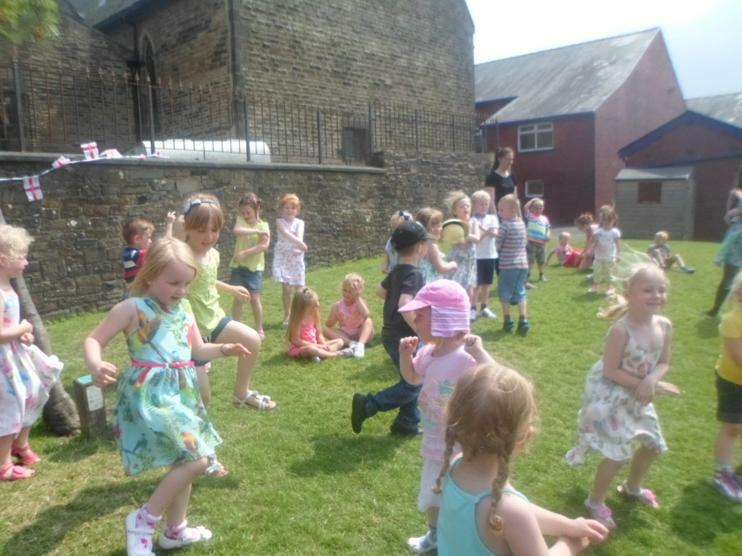 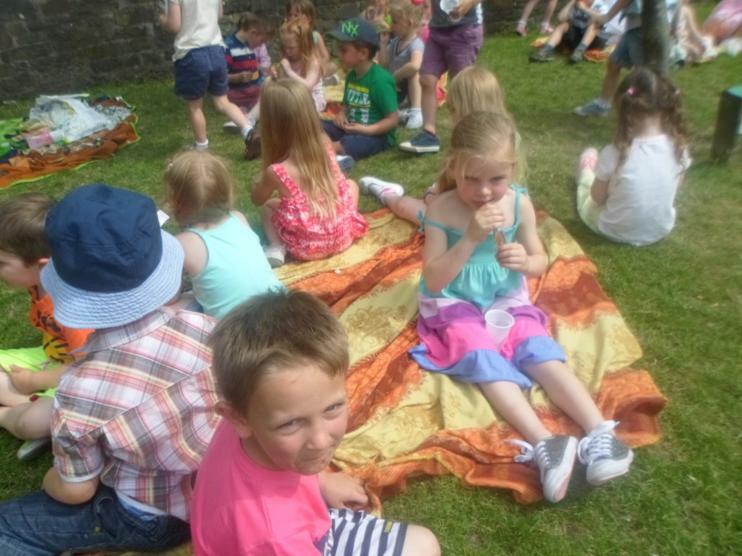 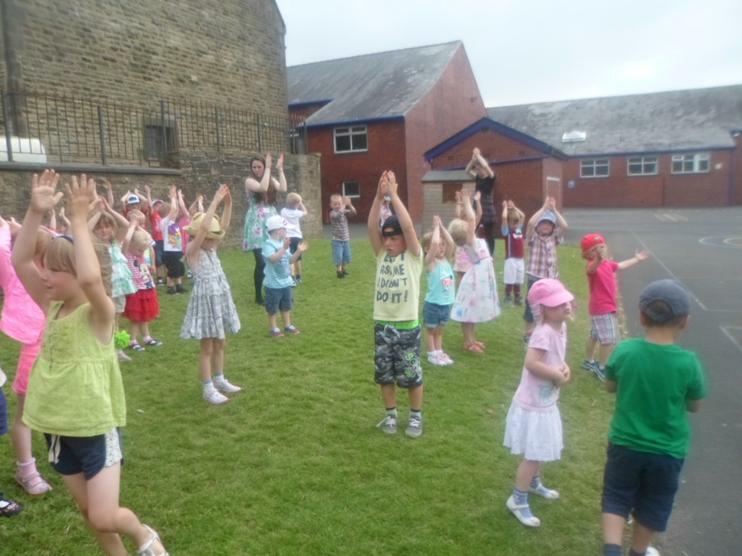 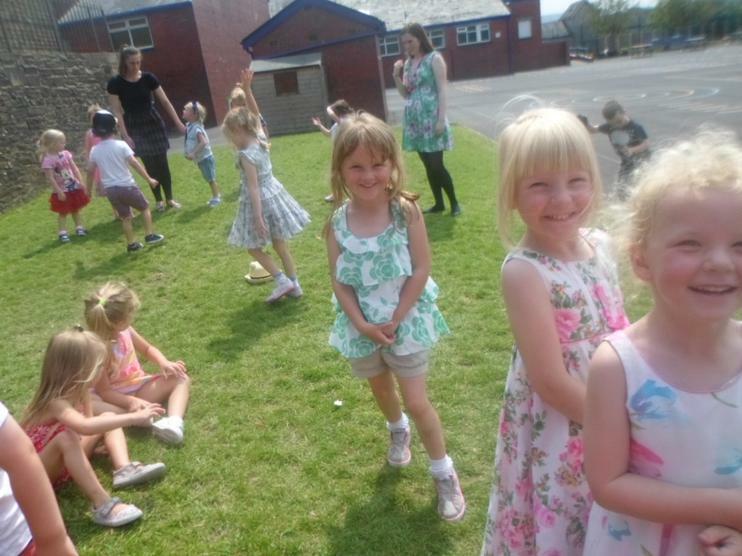 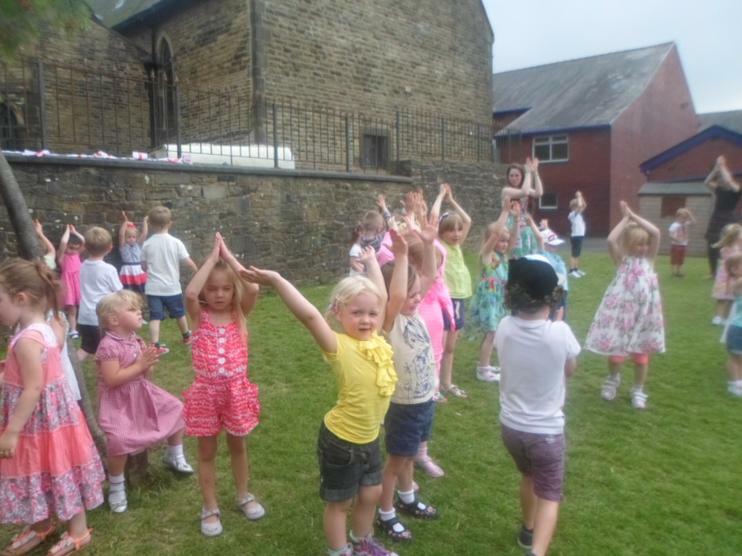 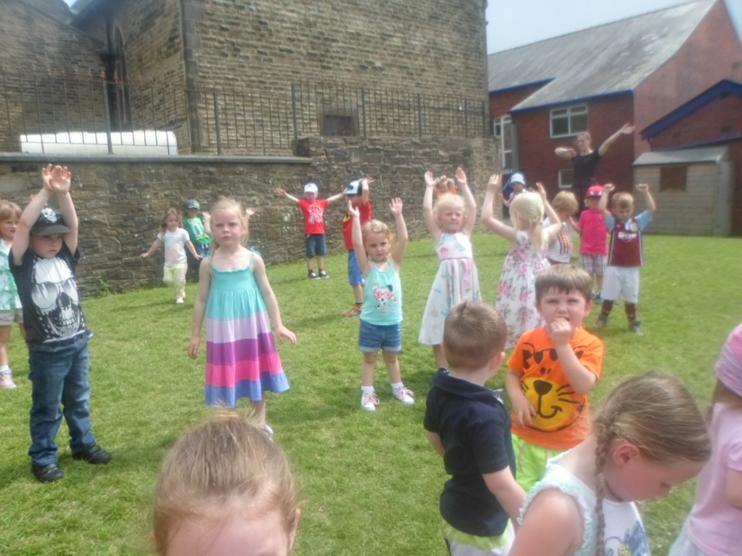 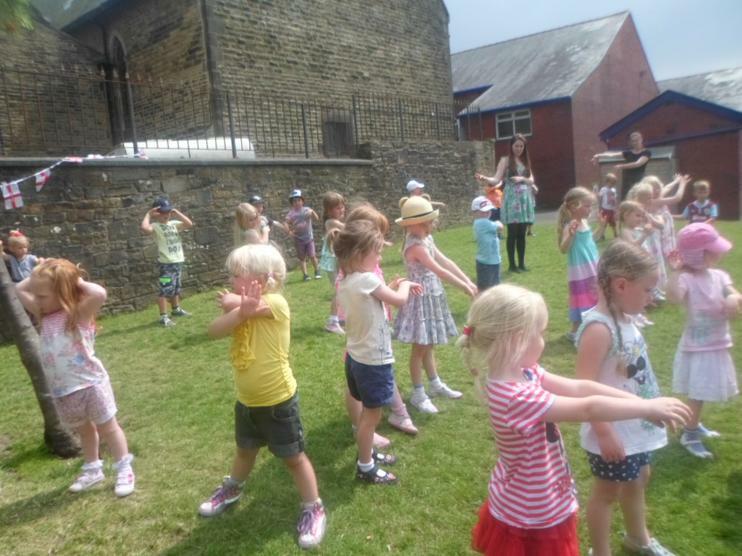 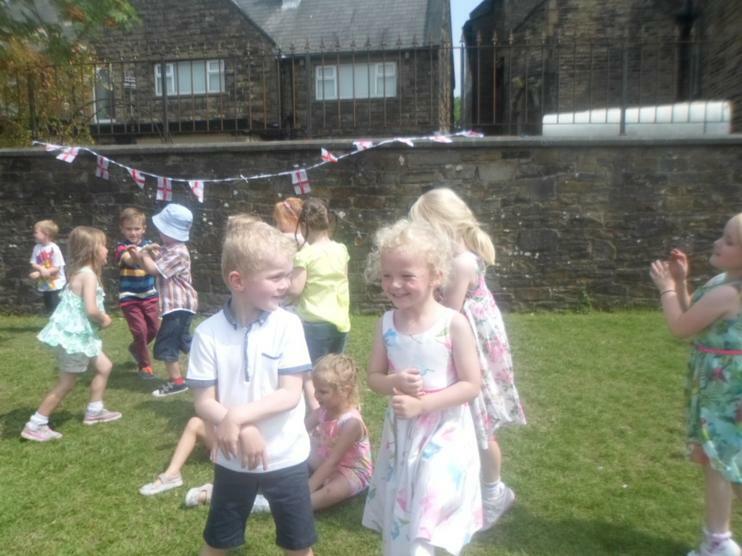 In the Foundation stage, we learn through planned play activities and self-initiated activities. 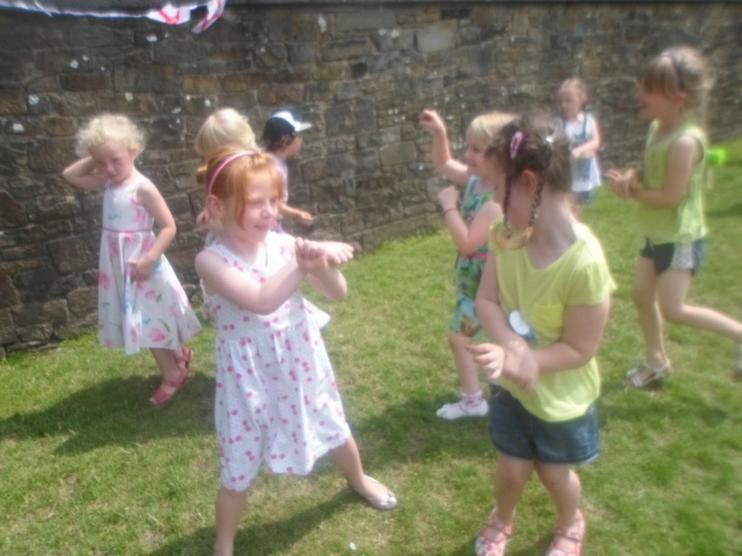 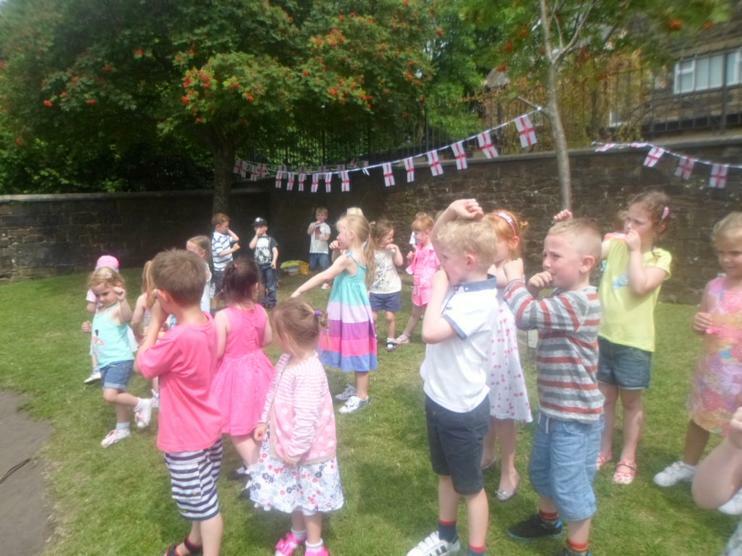 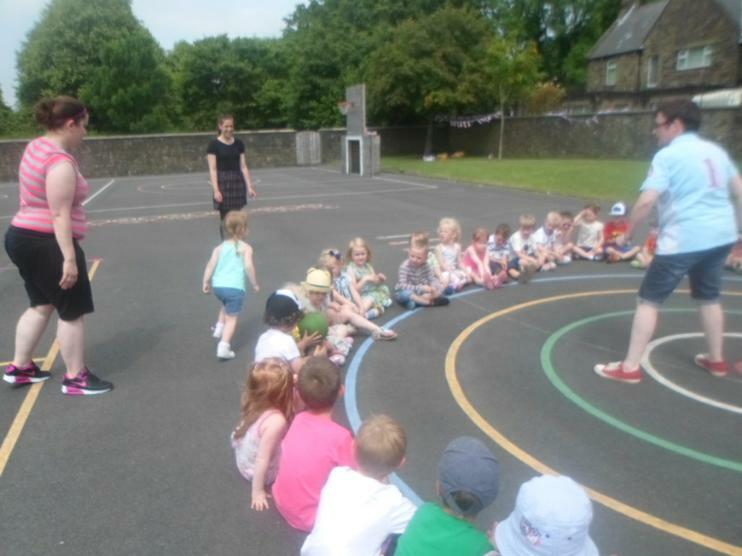 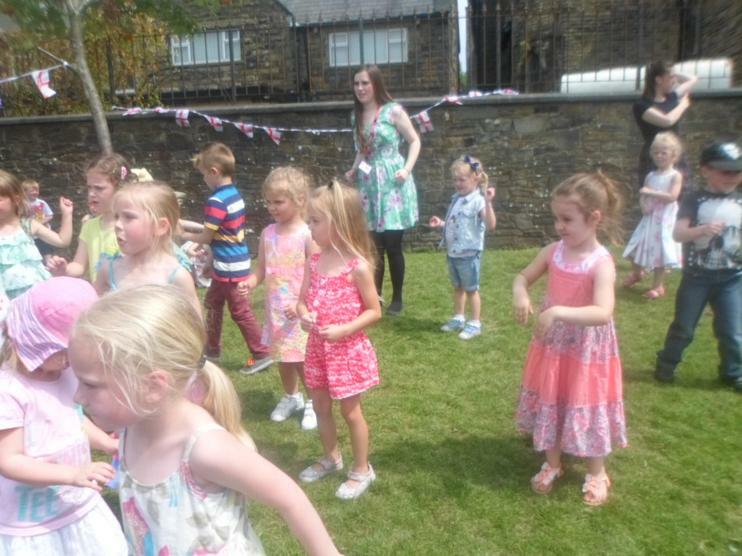 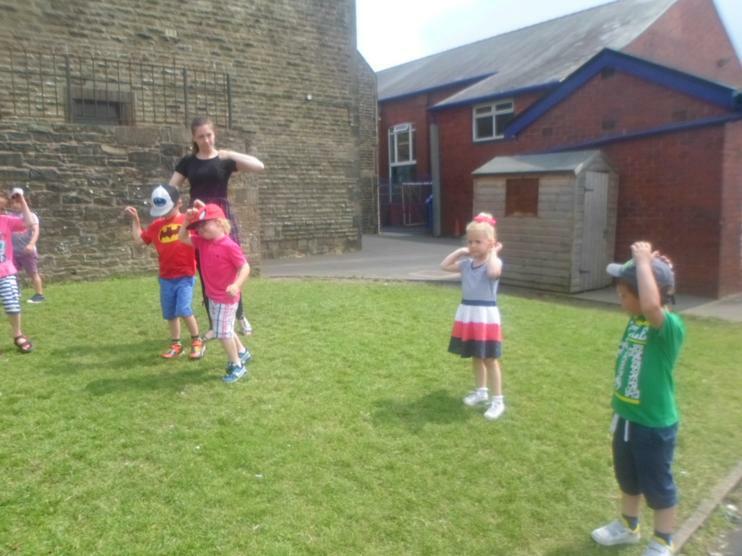 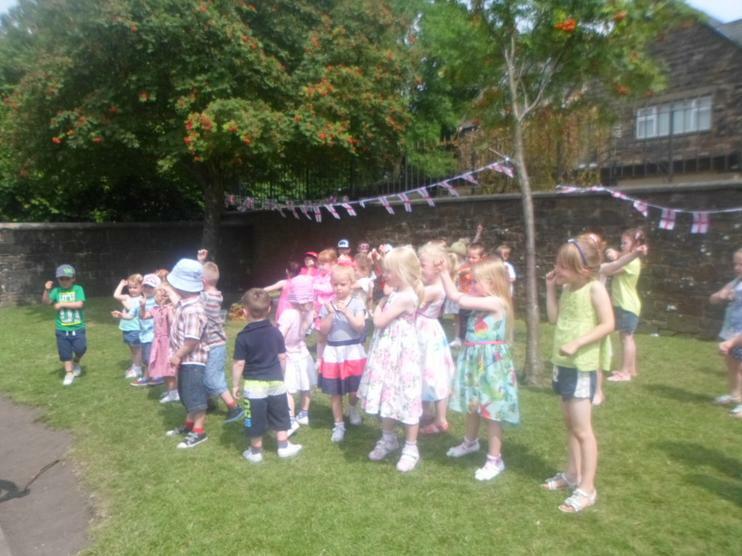 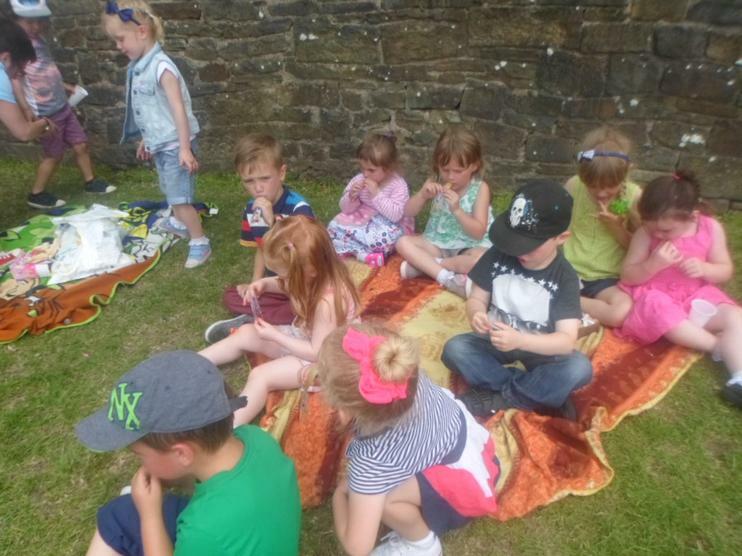 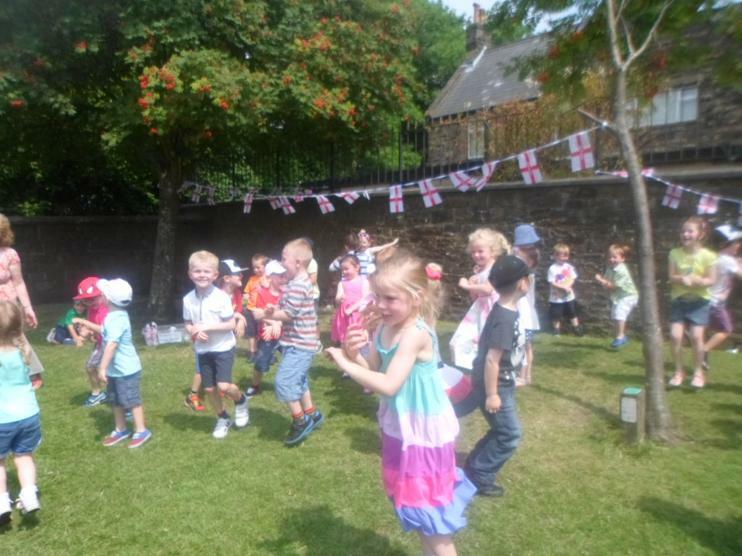 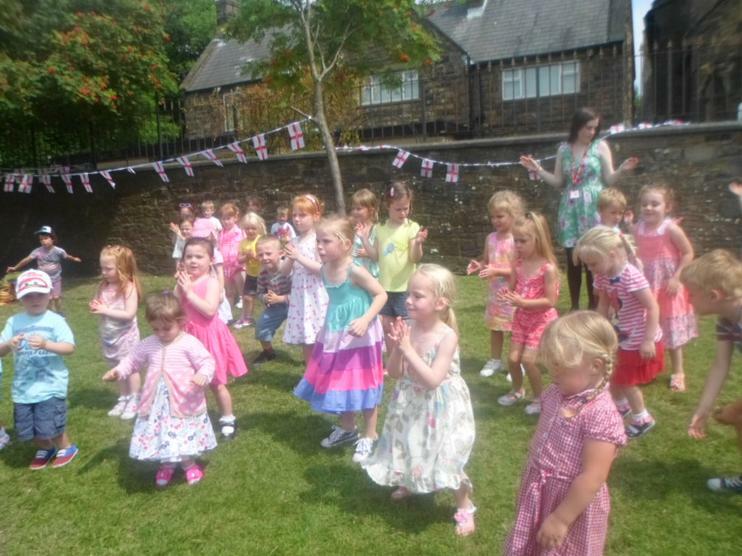 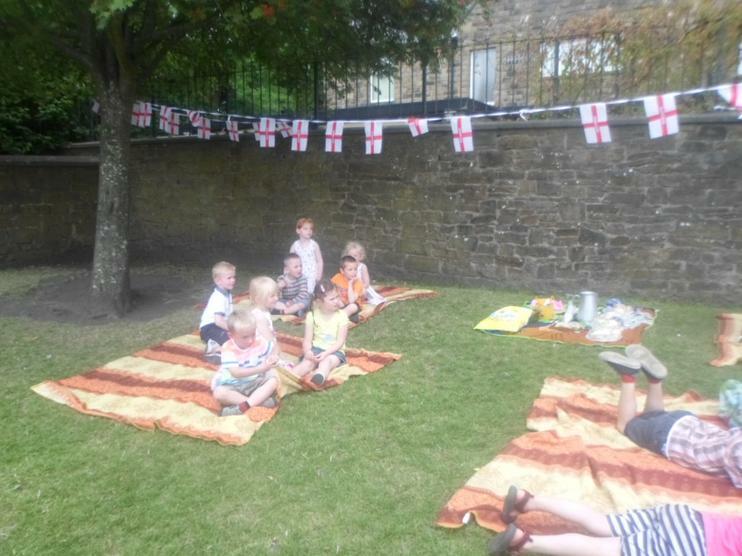 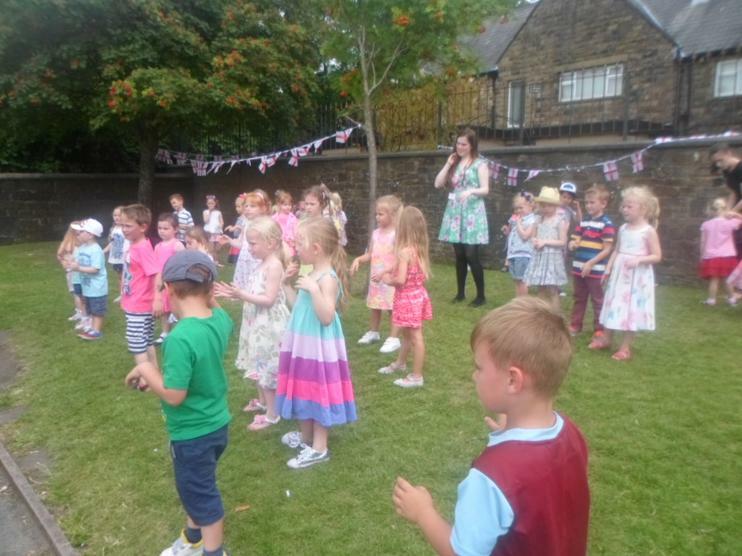 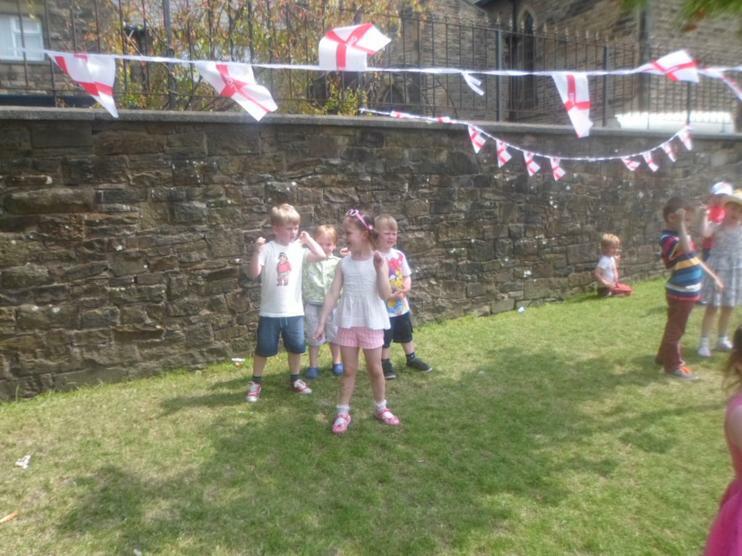 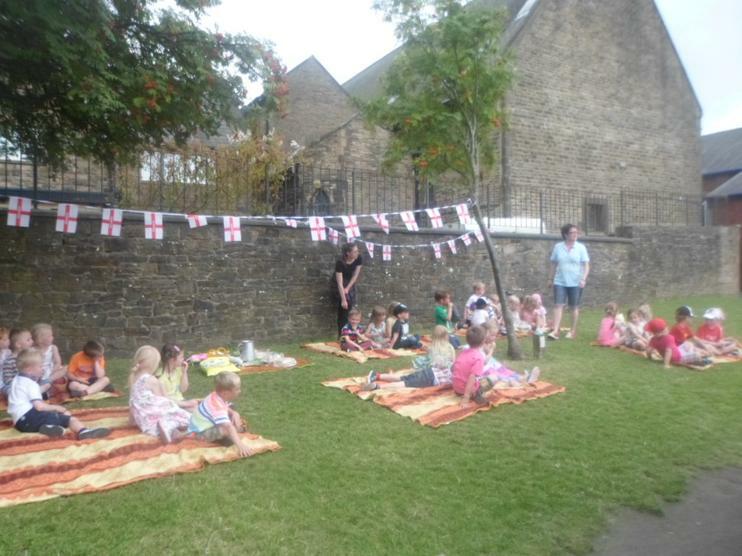 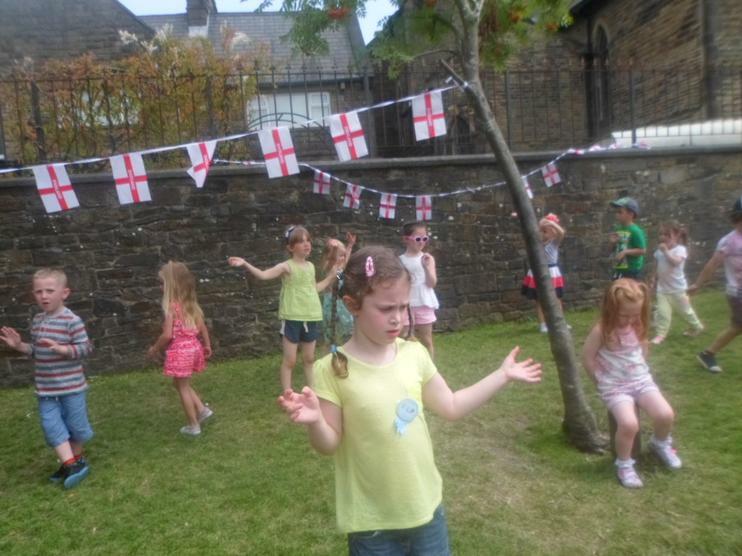 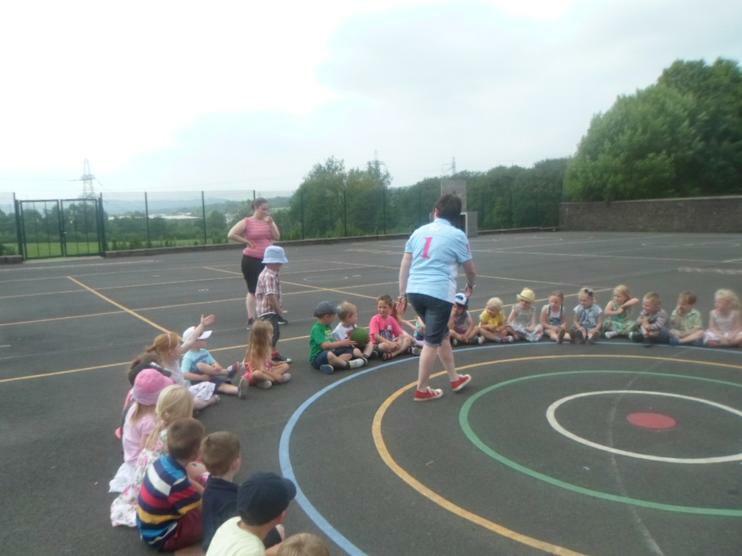 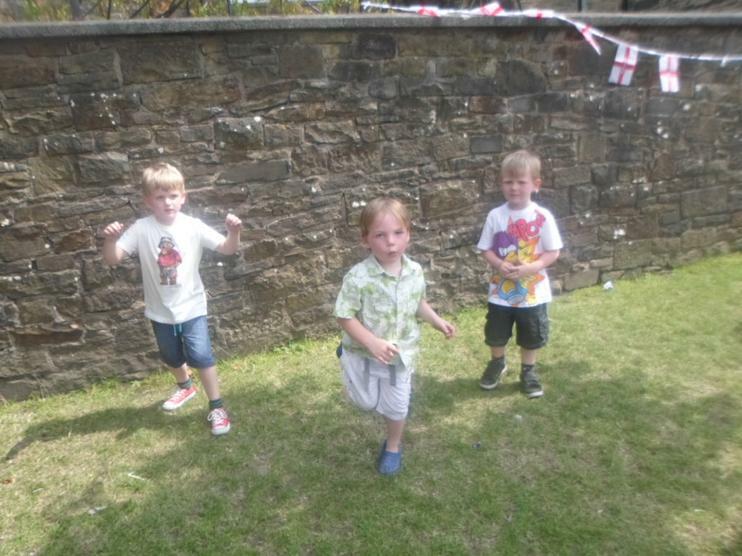 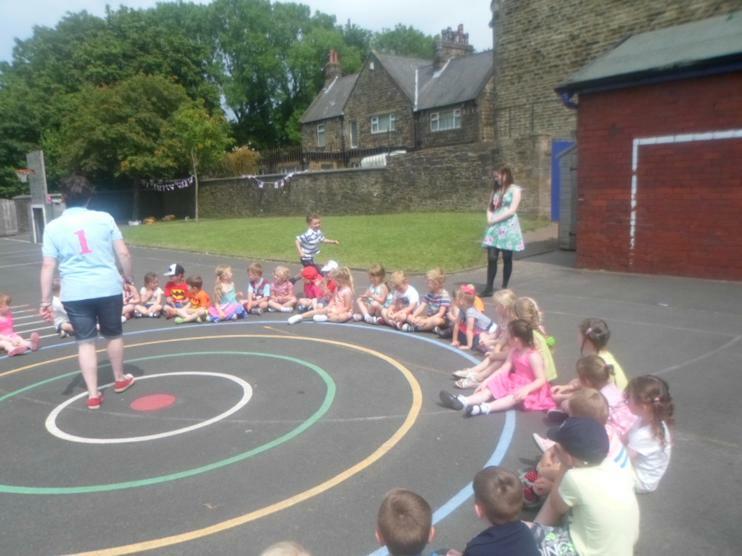 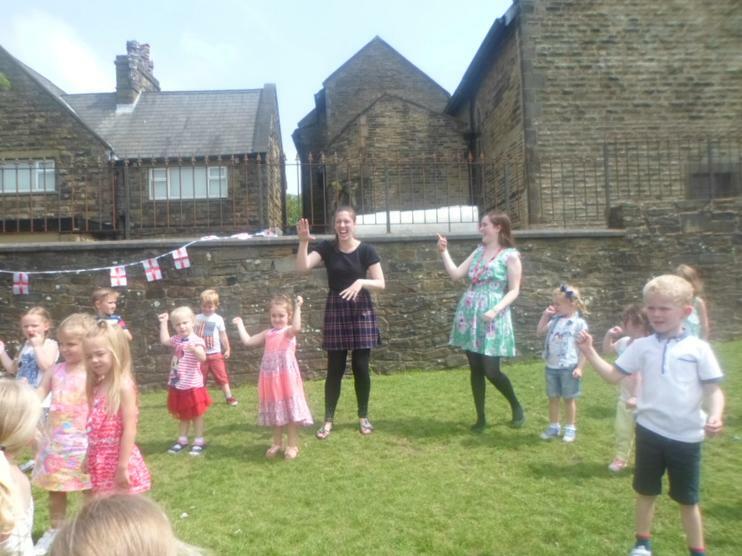 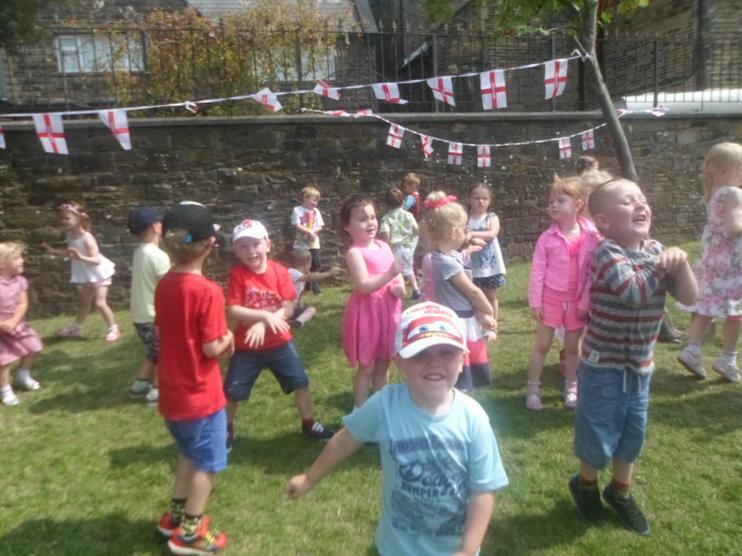 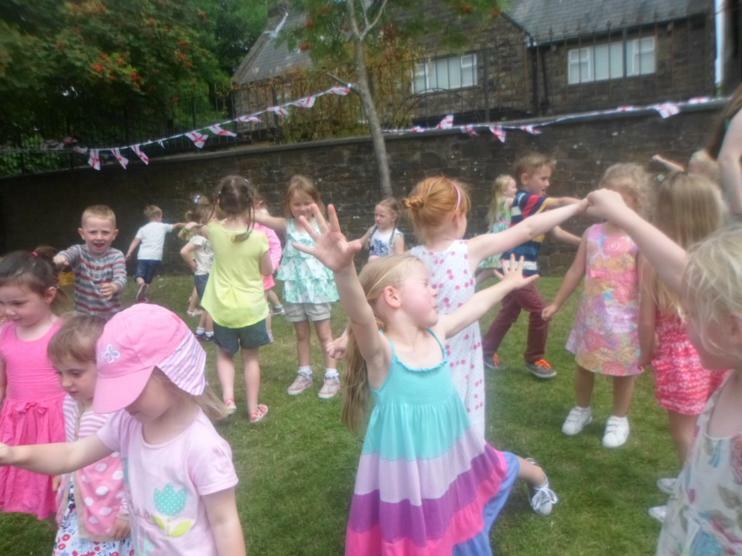 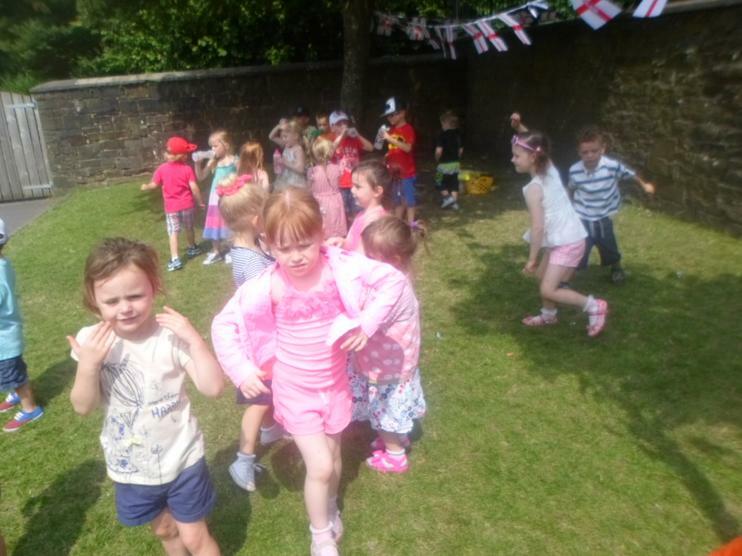 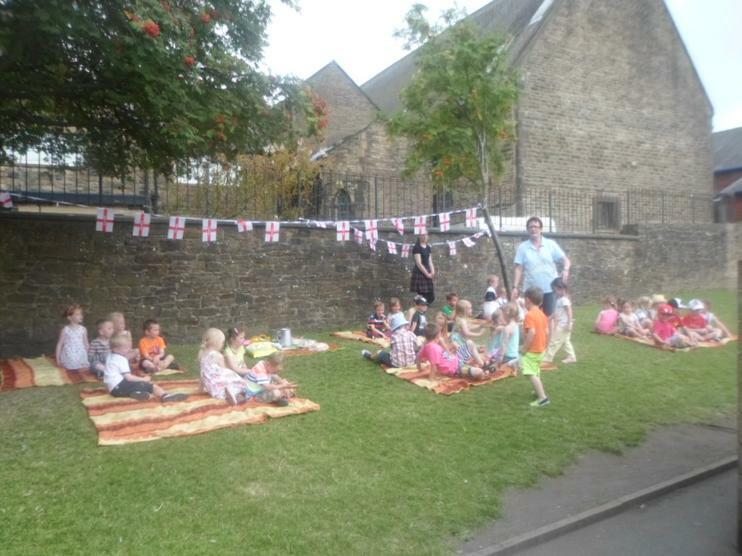 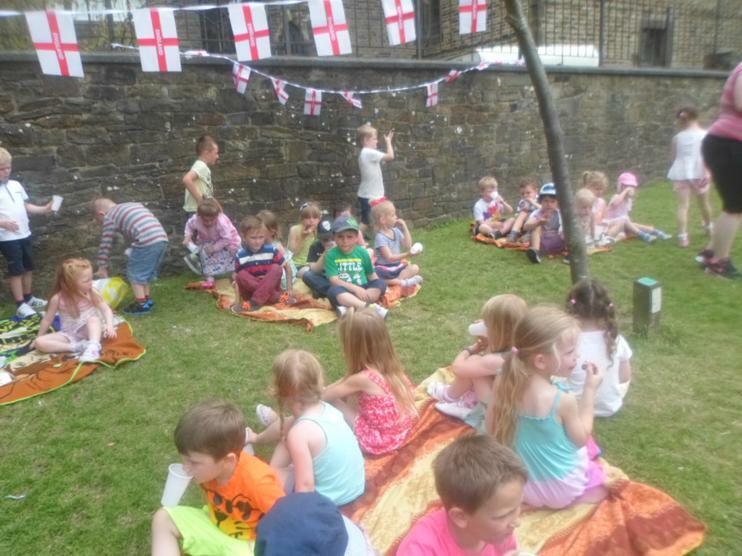 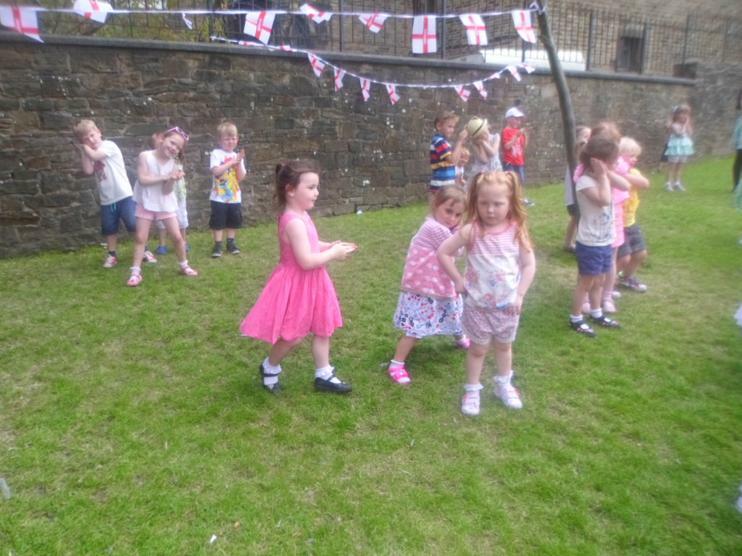 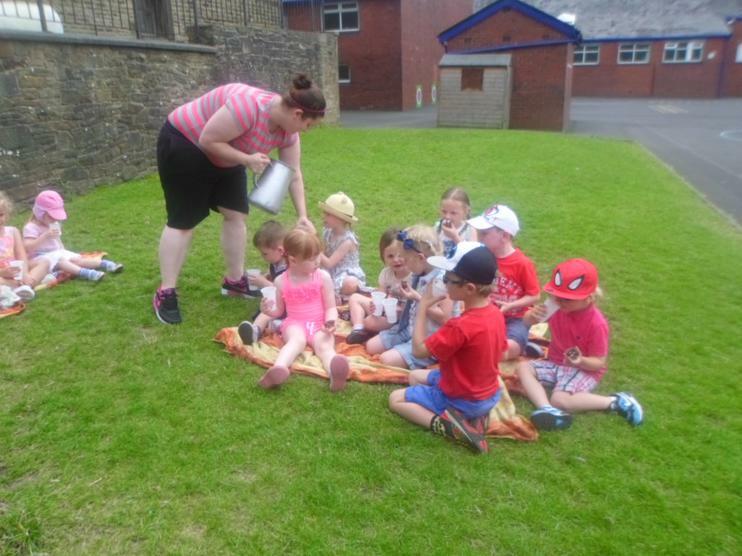 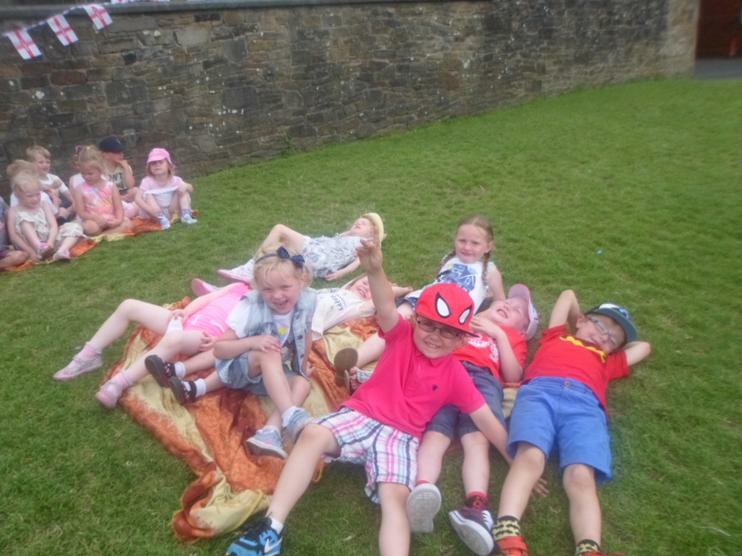 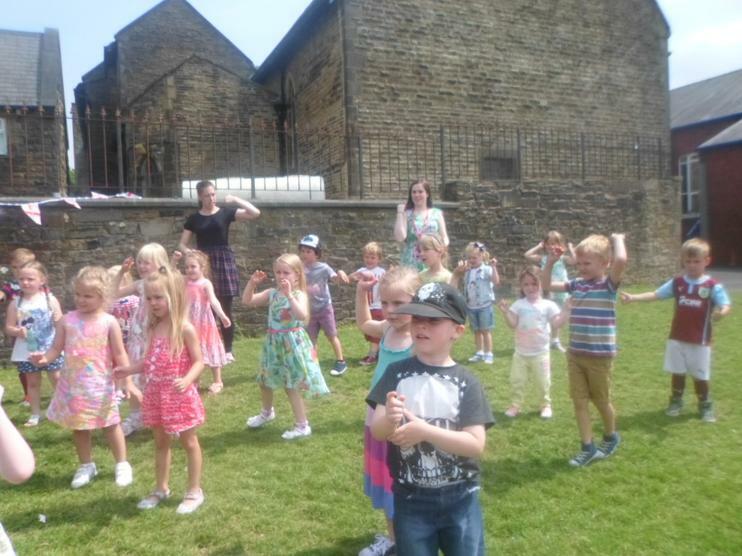 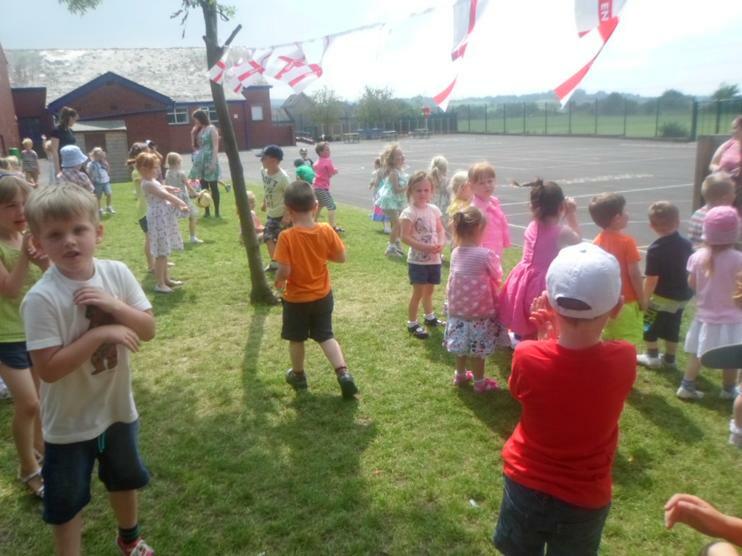 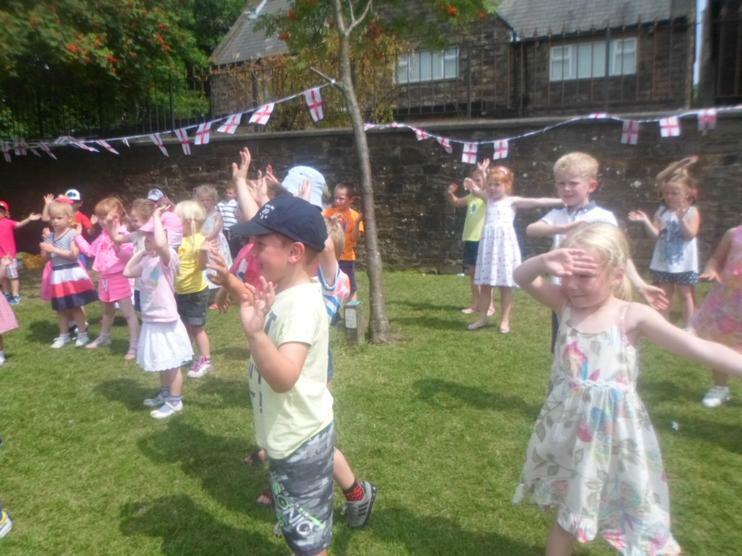 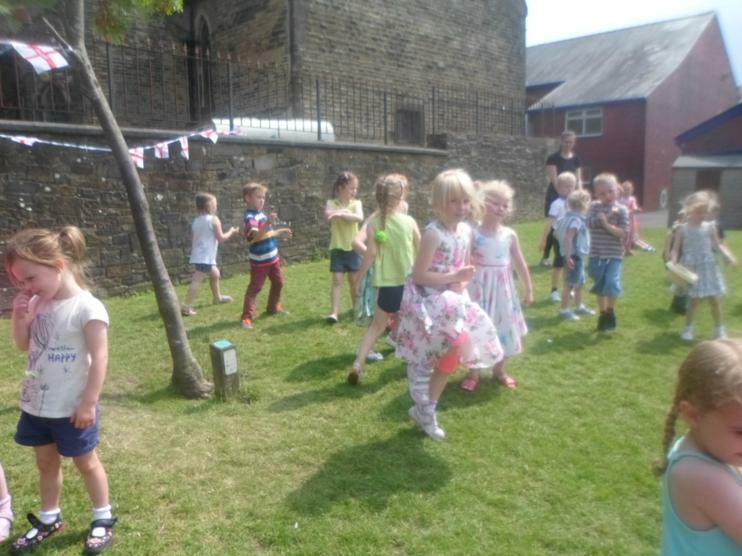 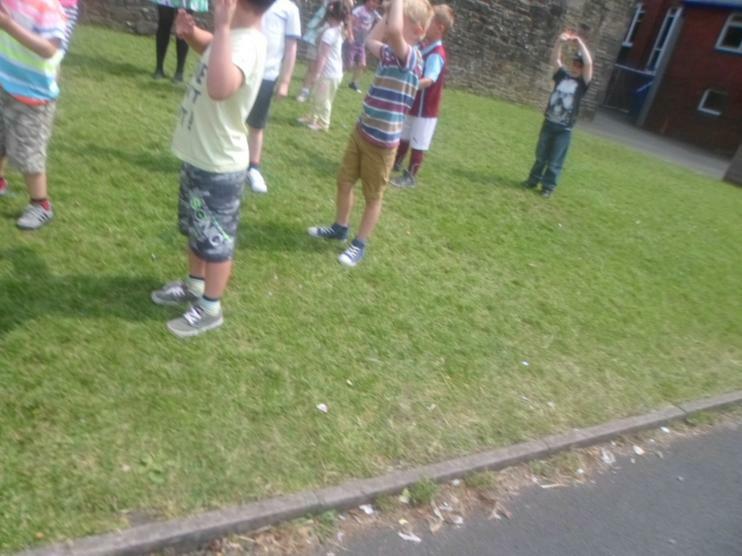 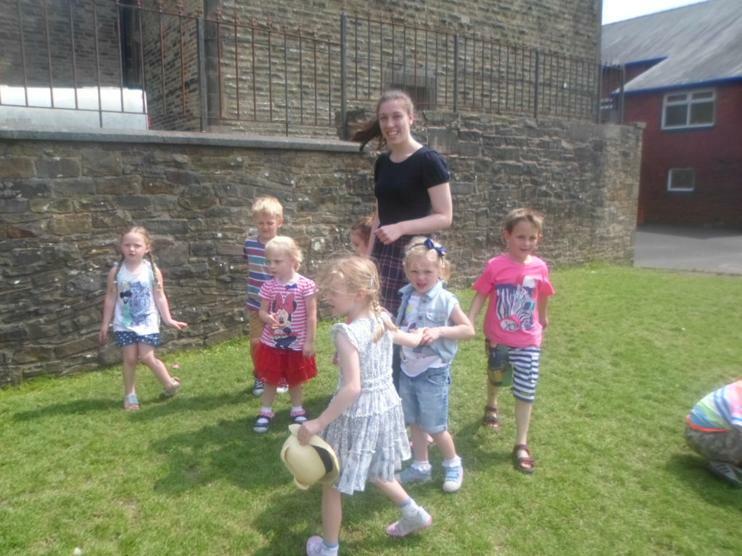 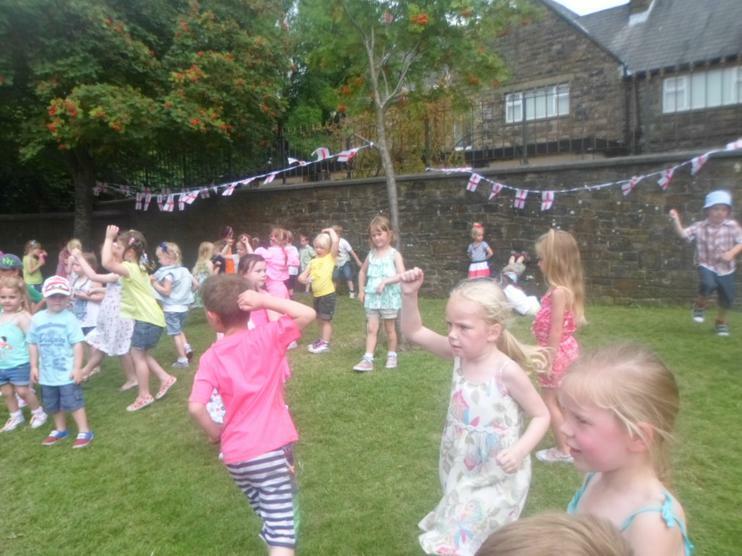 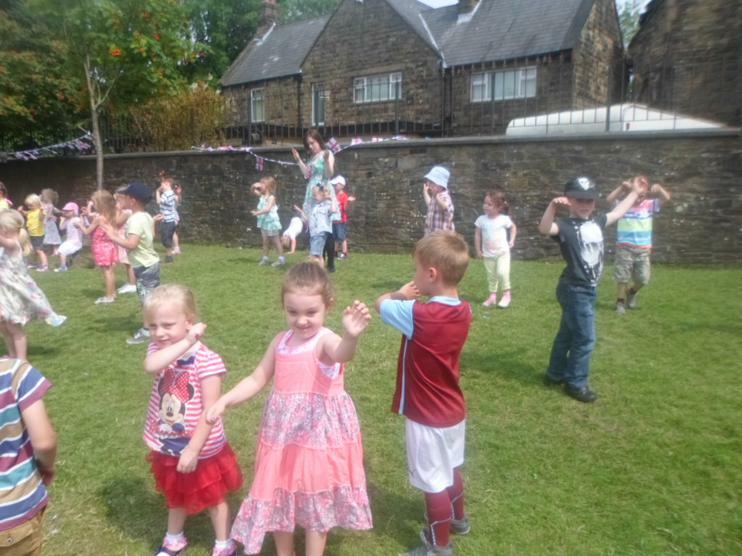 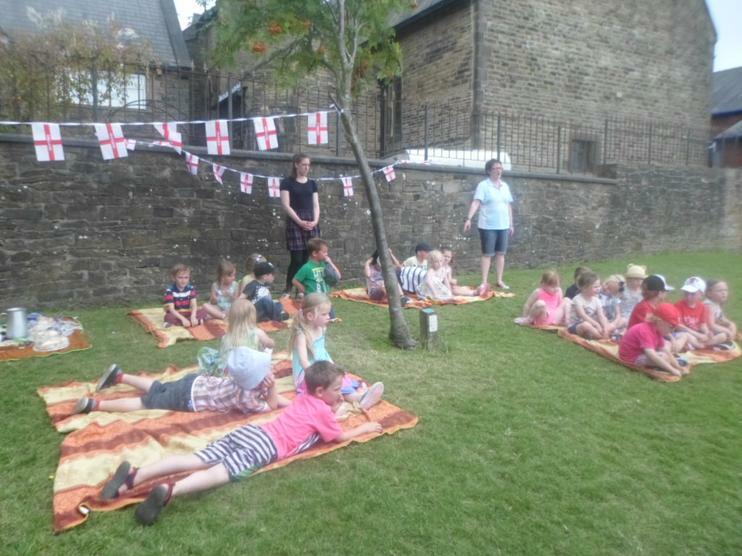 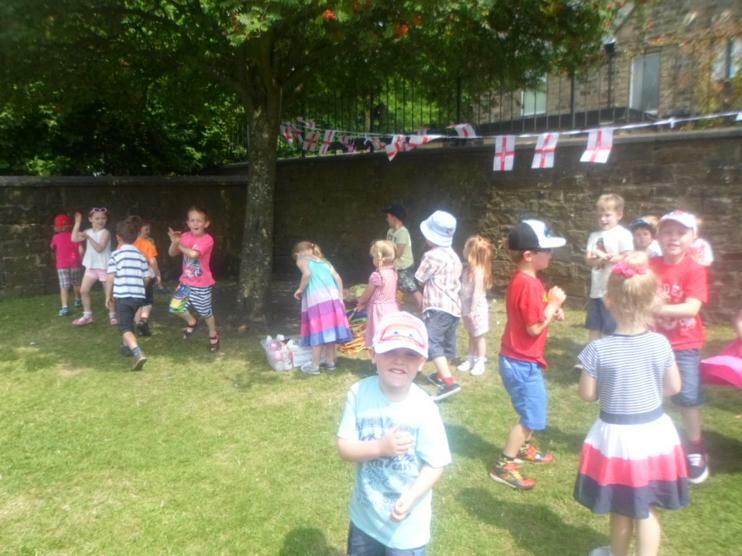 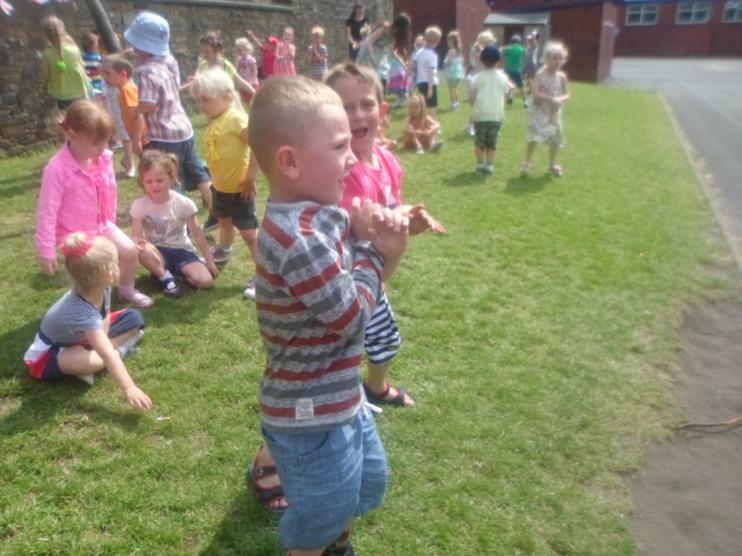 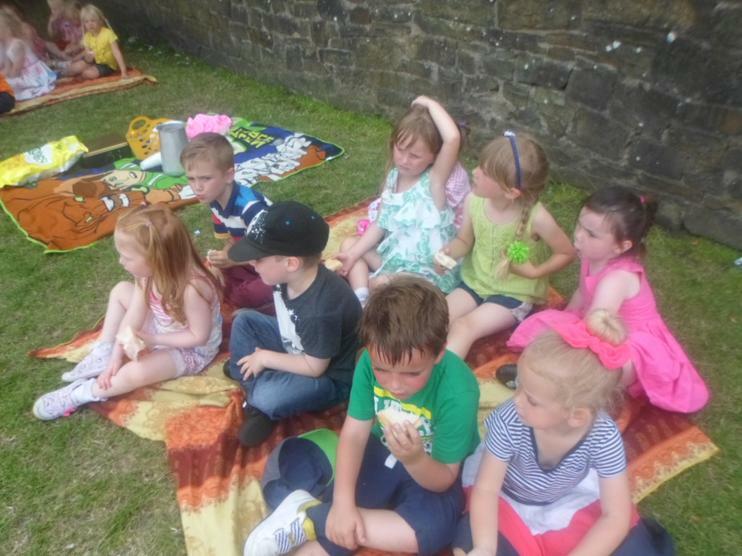 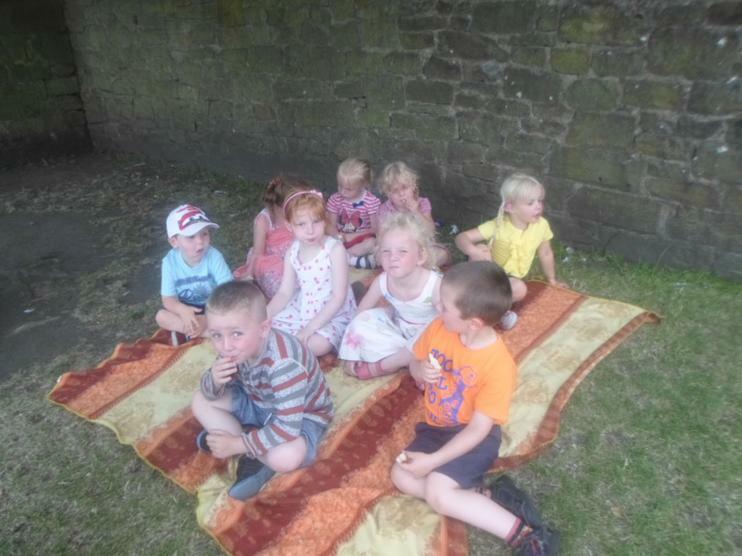 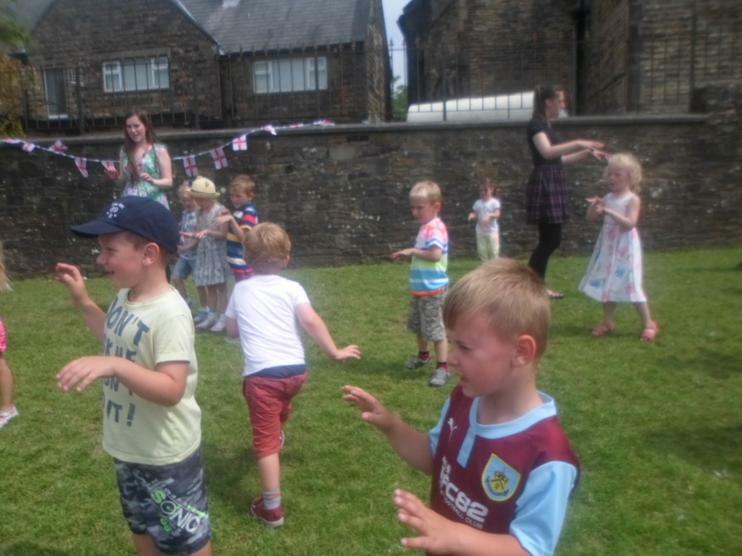 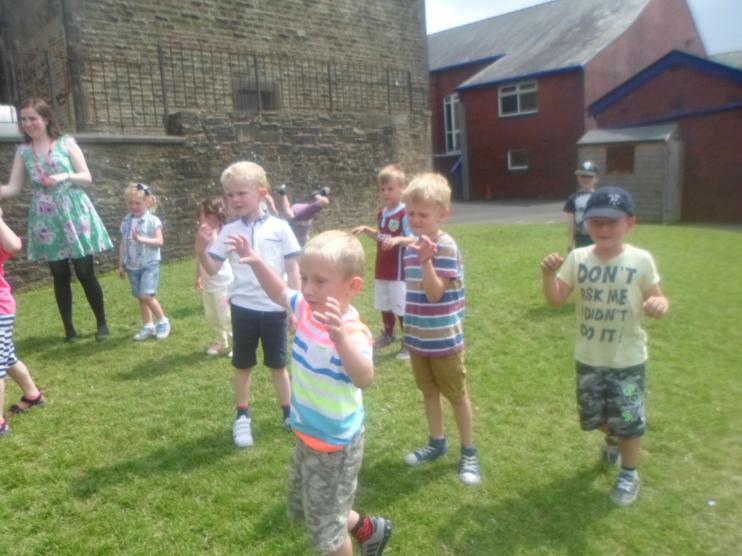 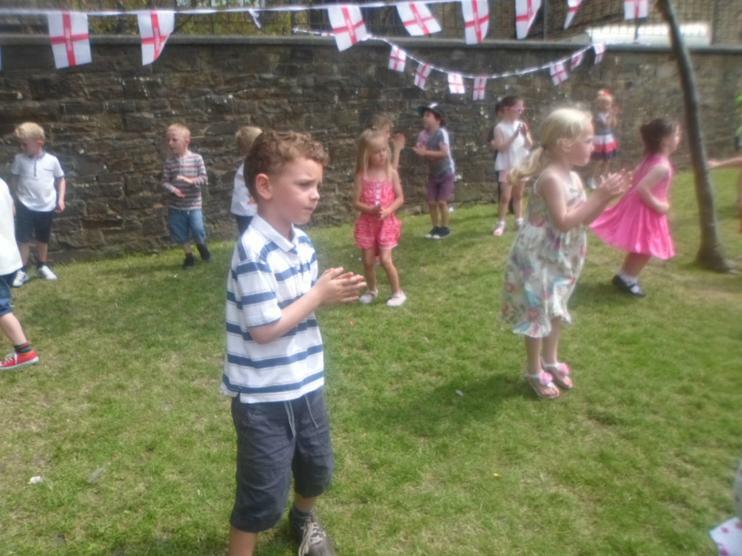 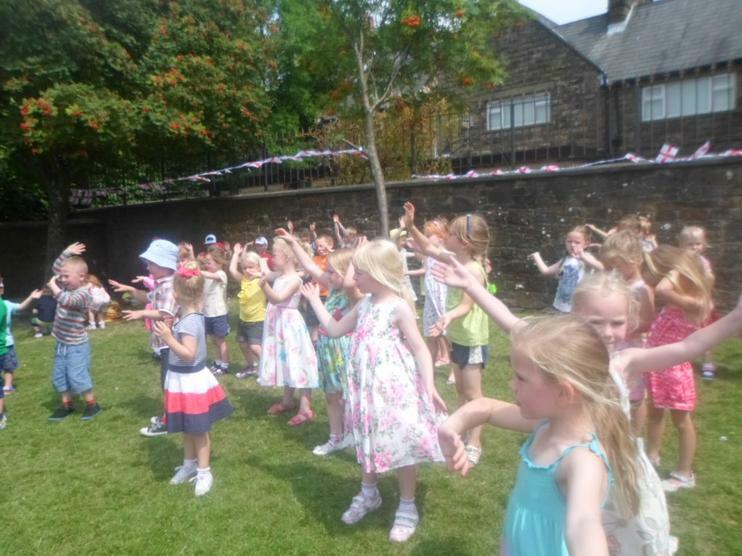 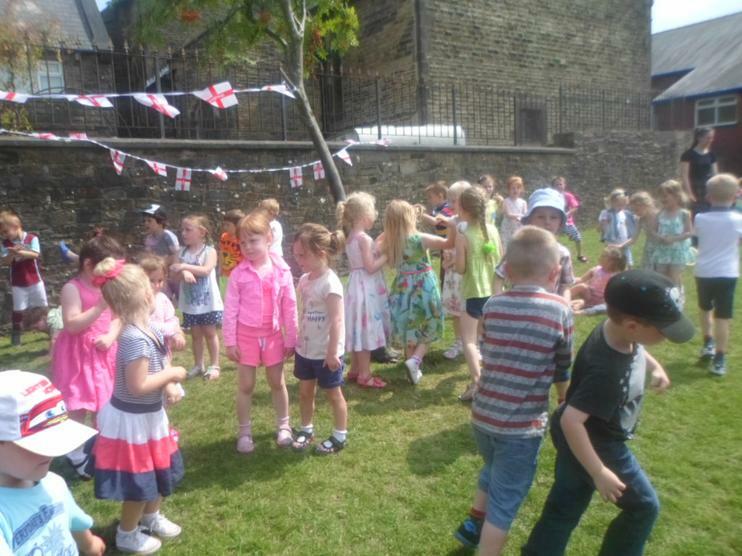 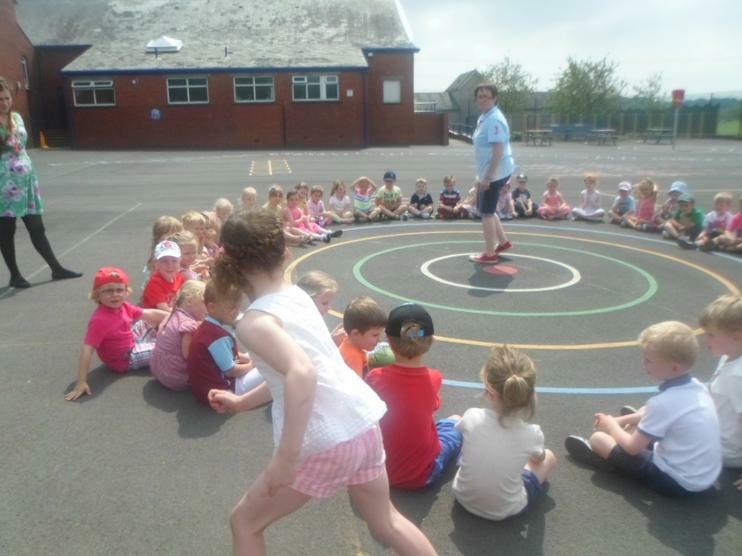 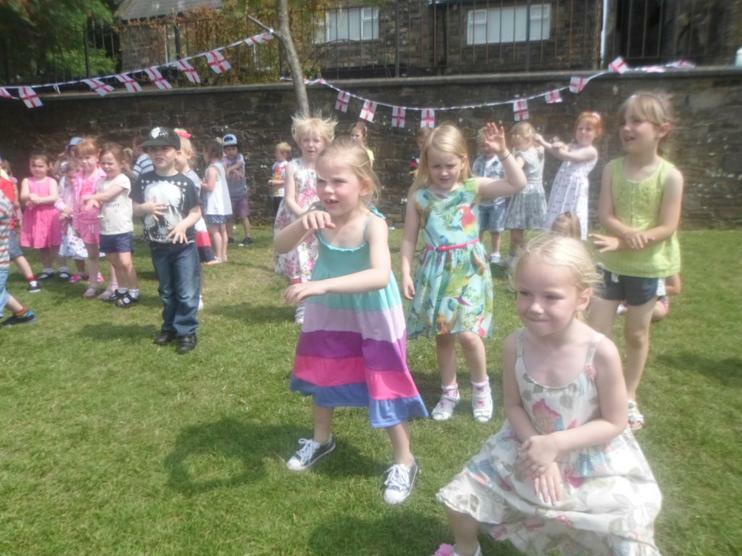 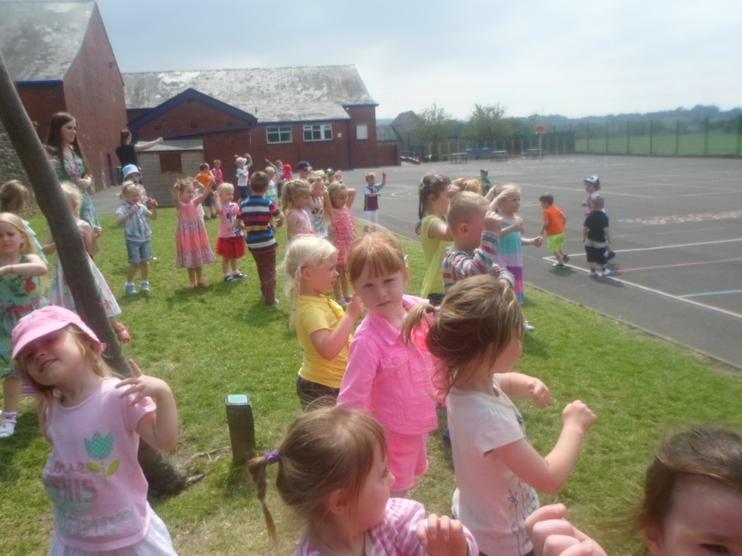 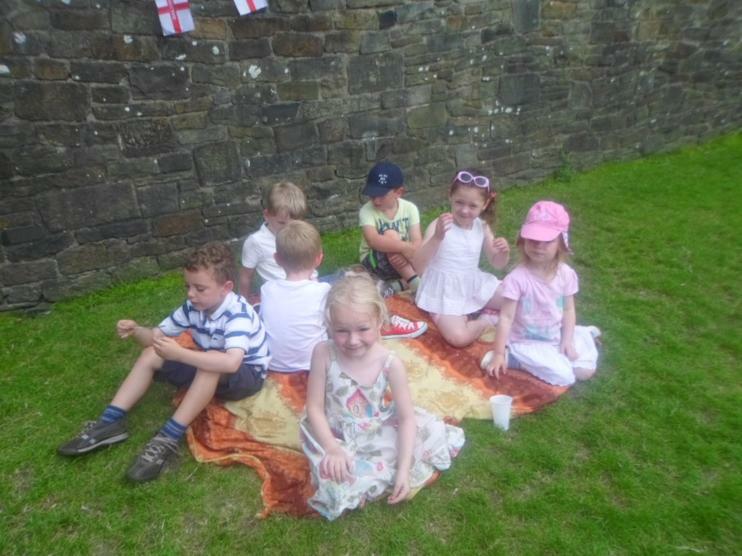 This is to ensure the children have fun, learn basic skills, communicate with others and become independent. 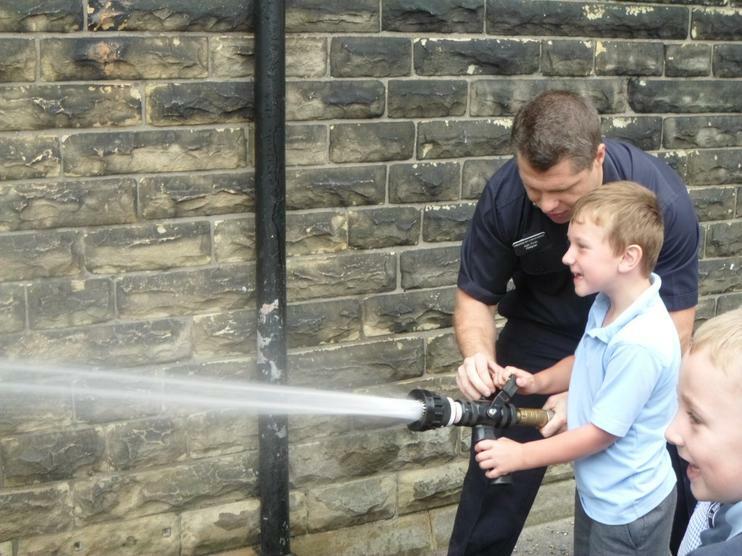 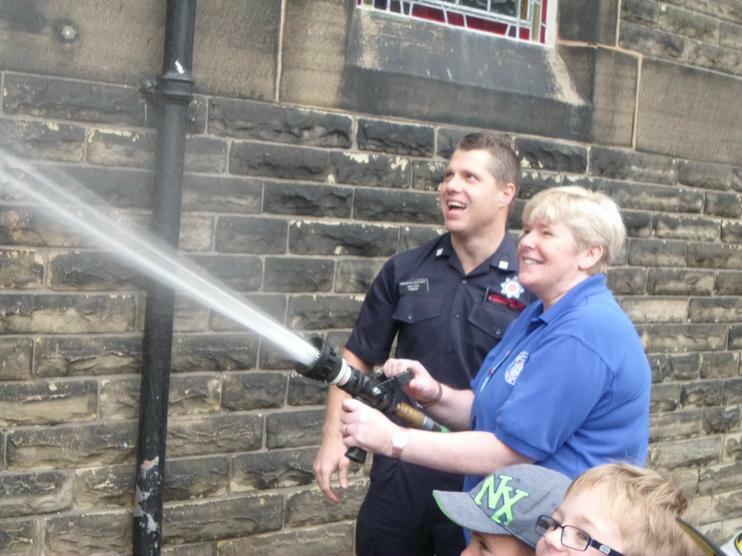 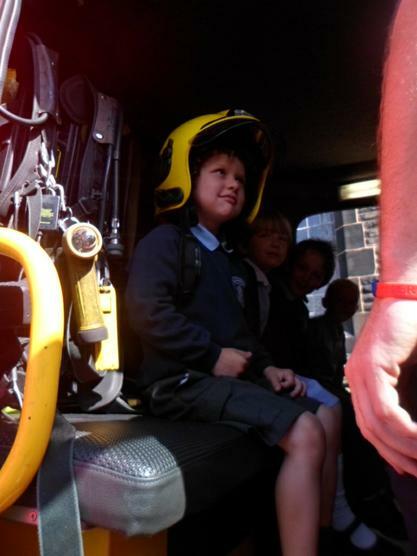 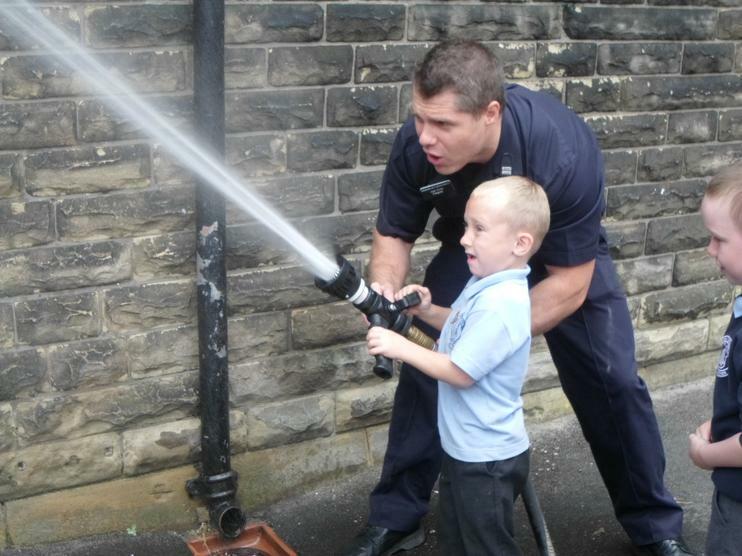 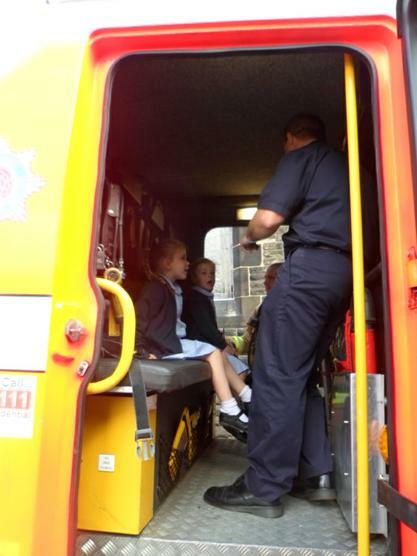 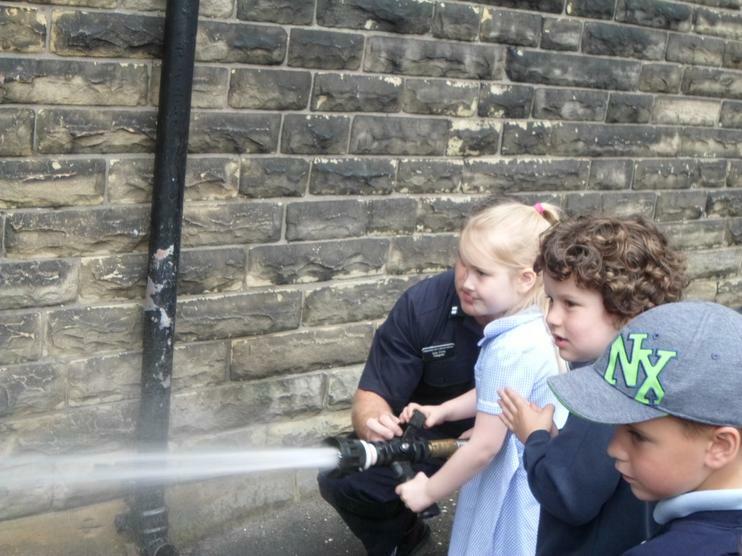 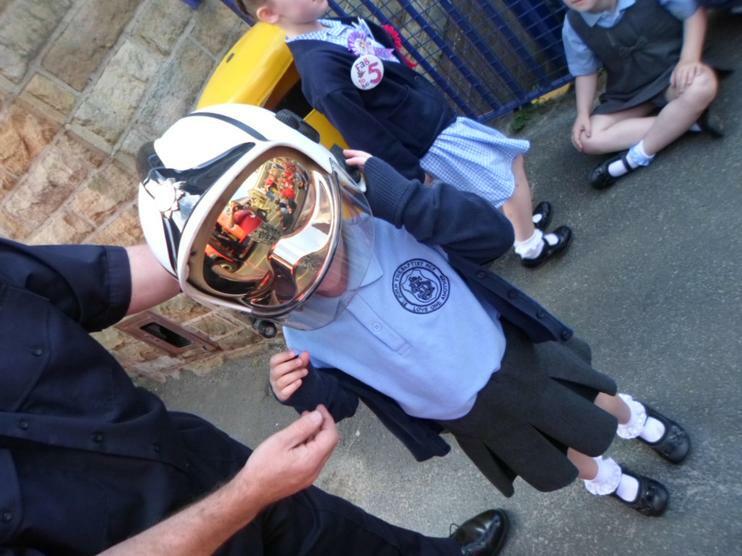 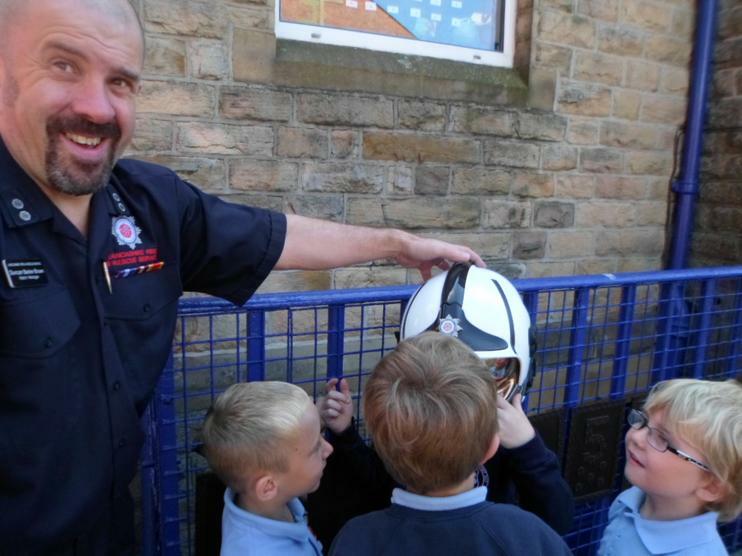 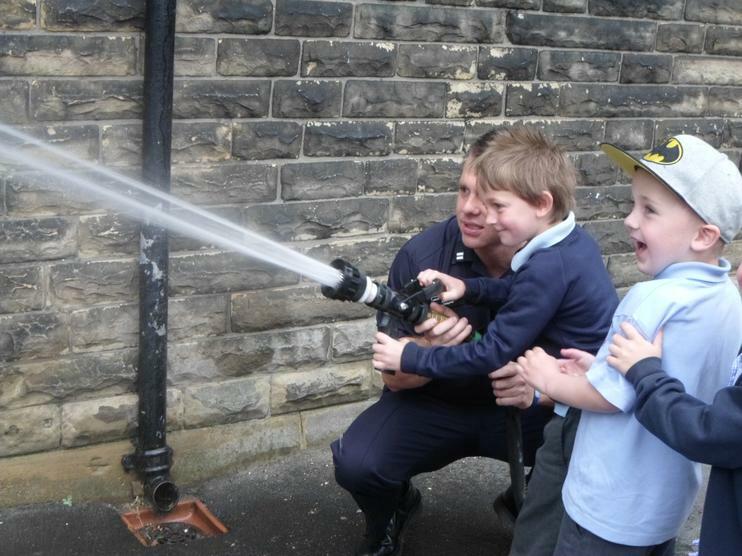 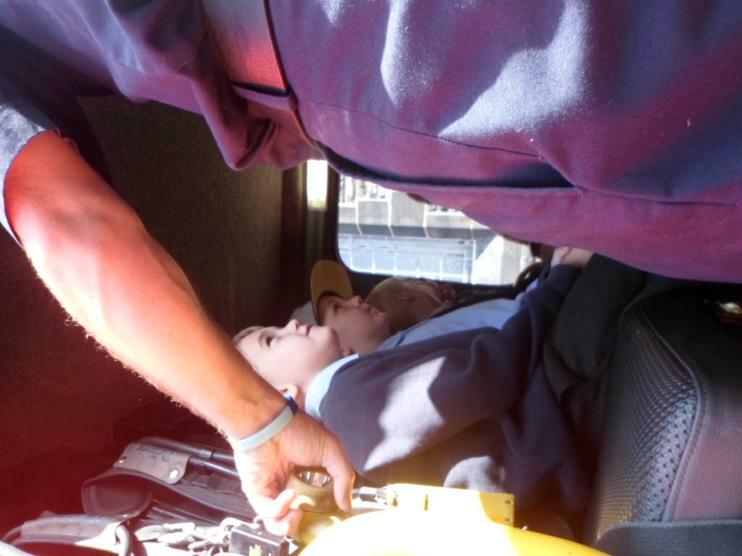 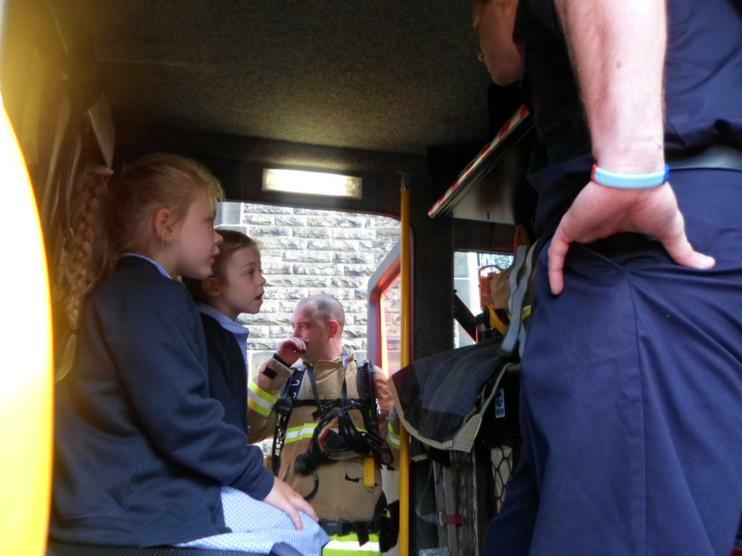 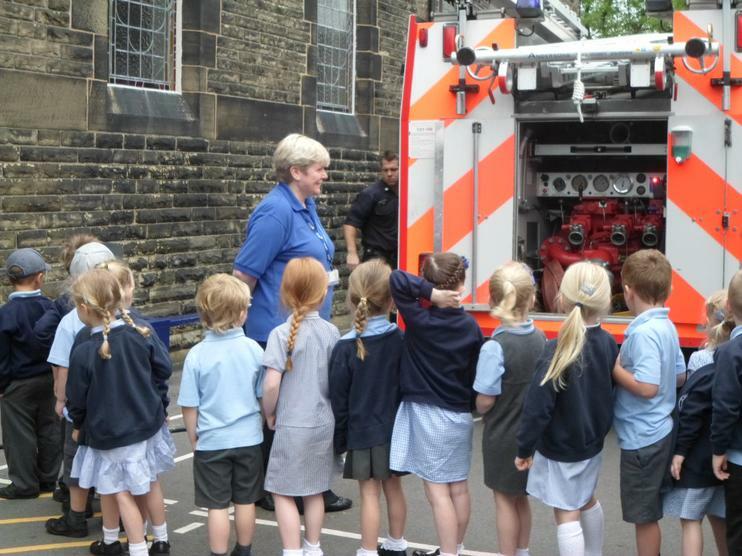 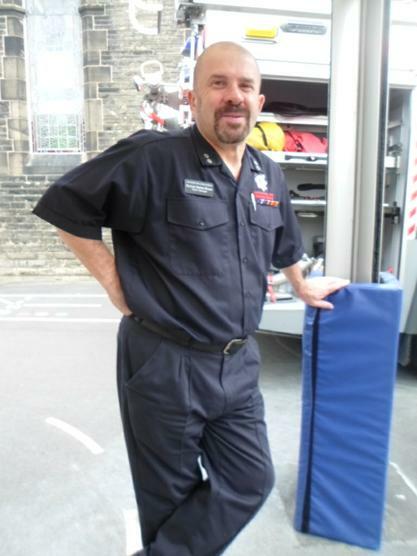 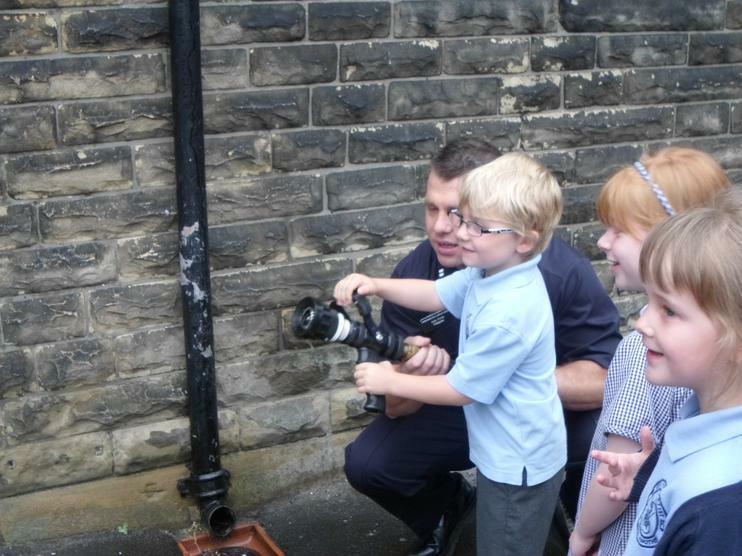 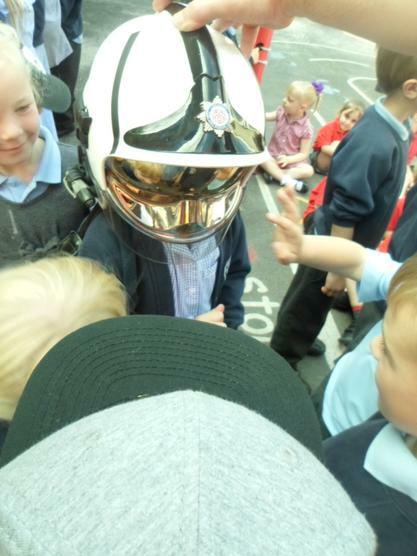 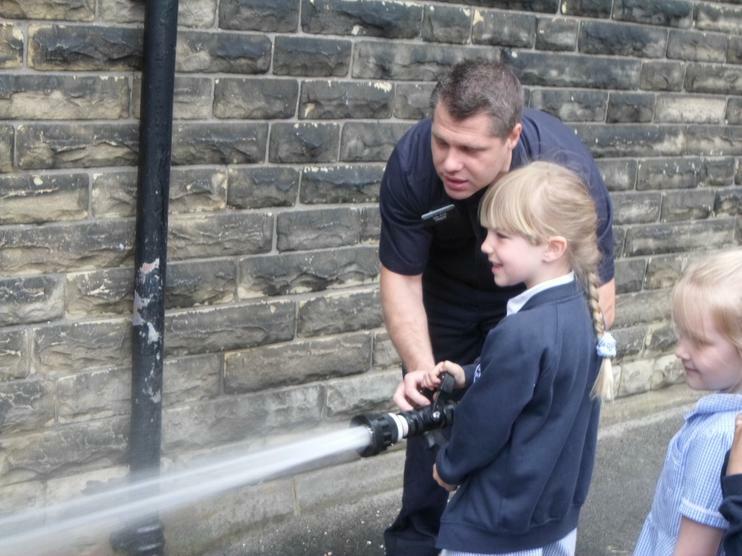 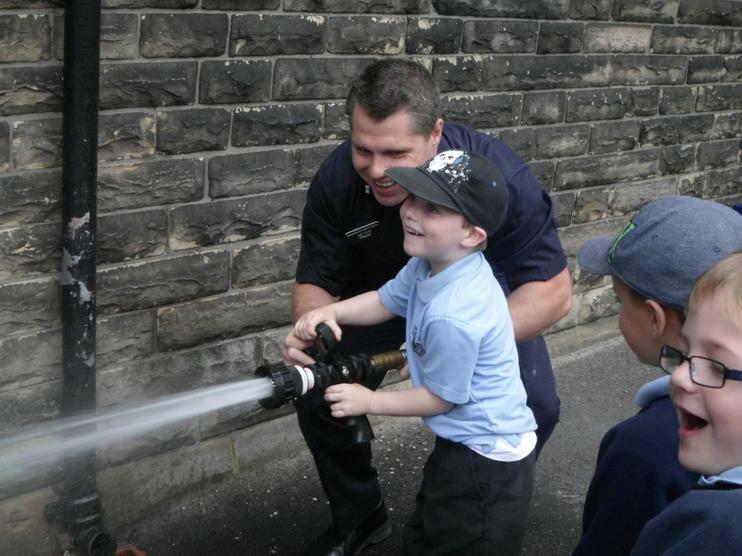 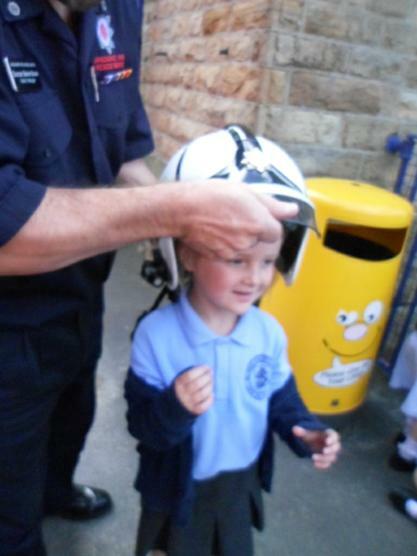 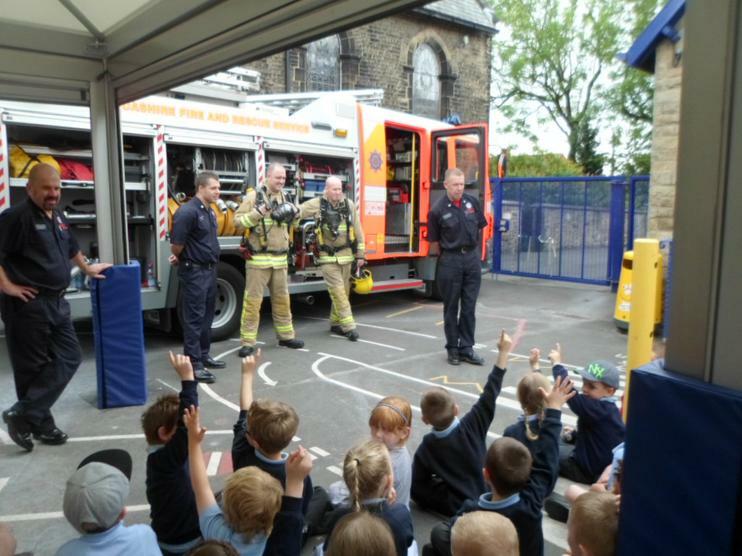 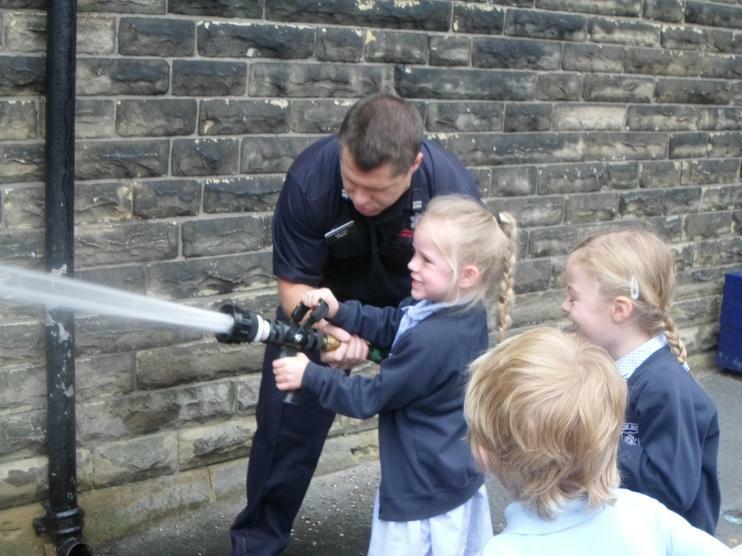 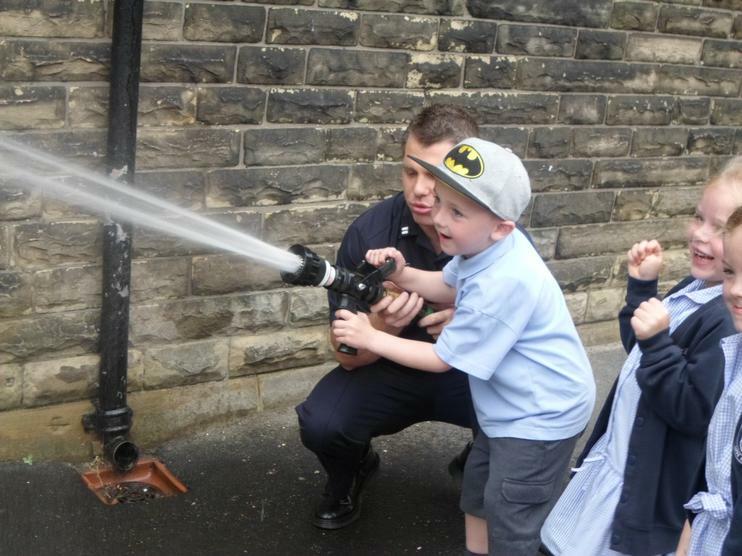 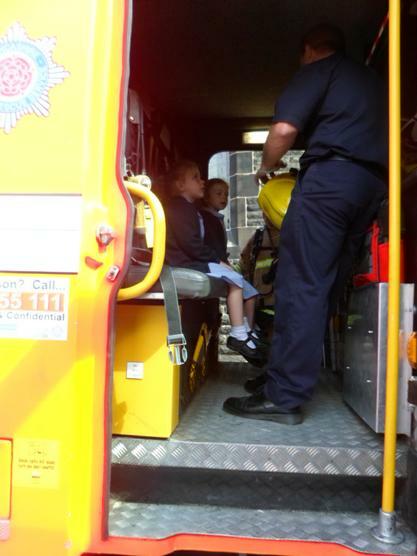 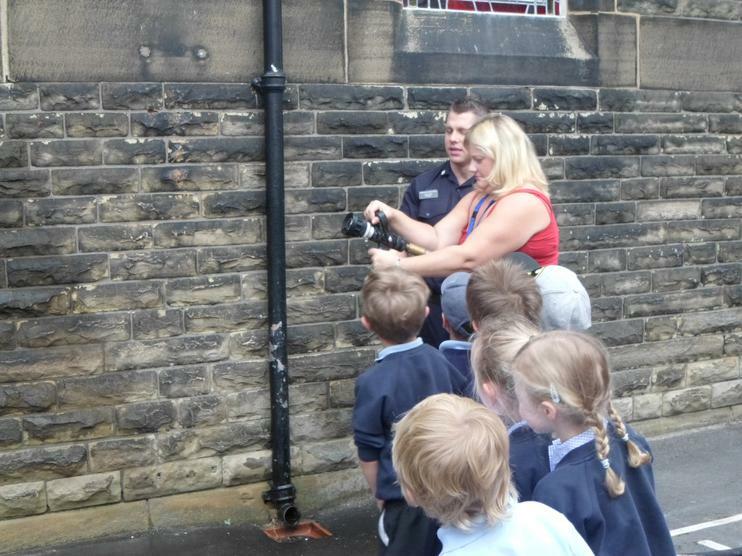 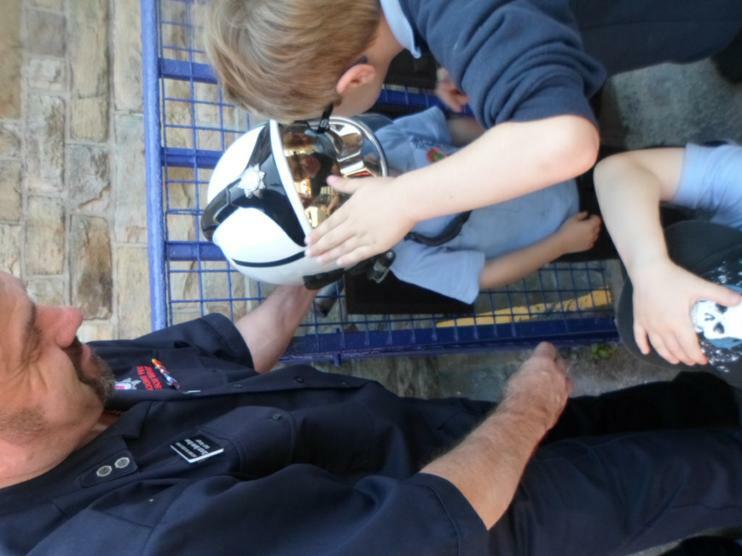 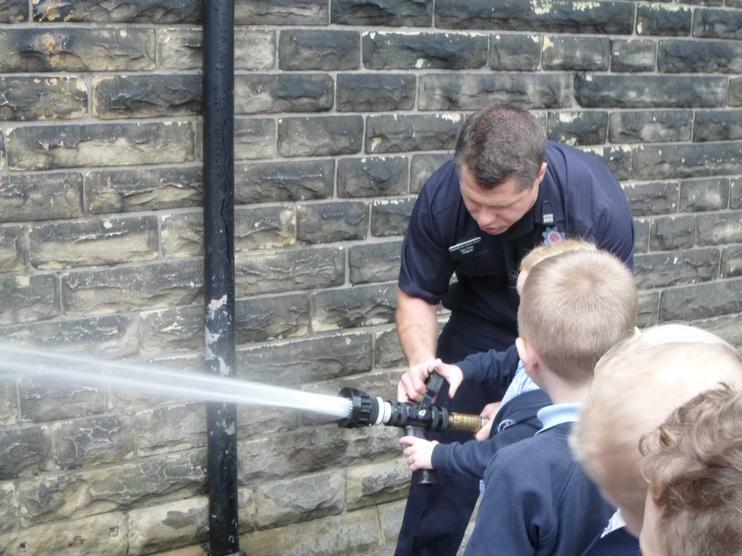 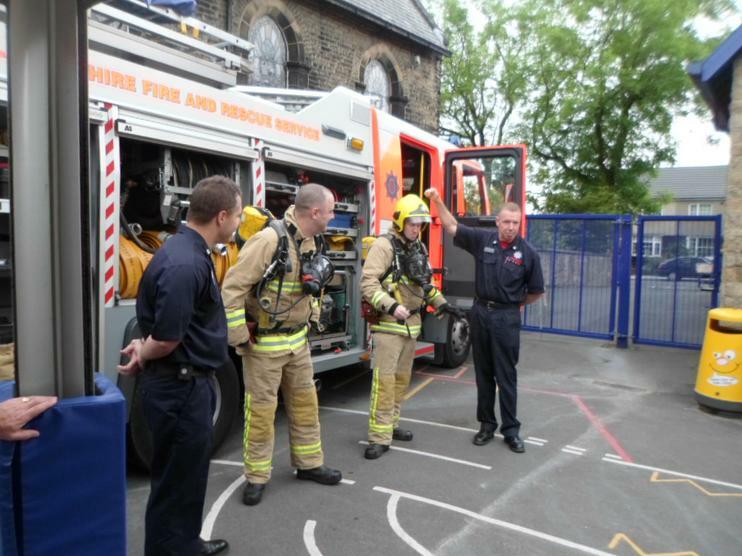 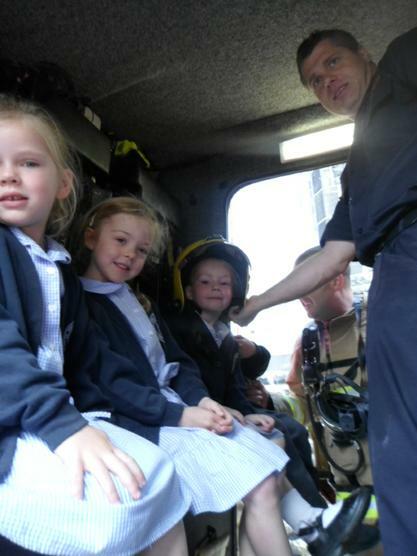 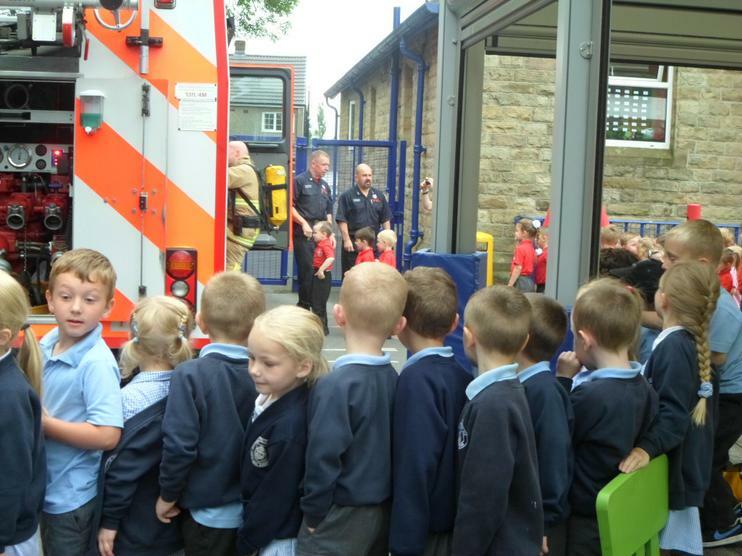 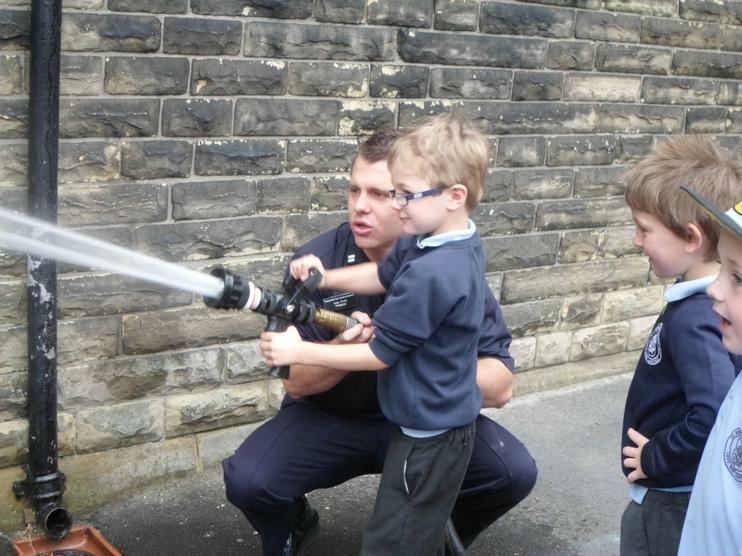 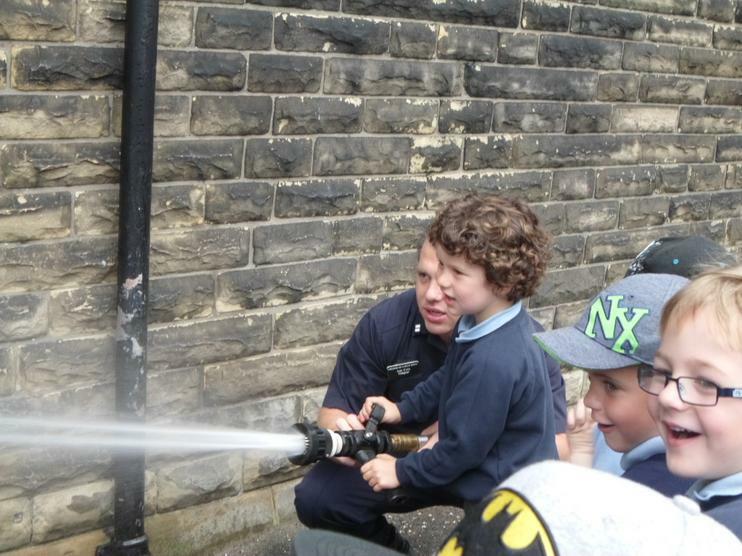 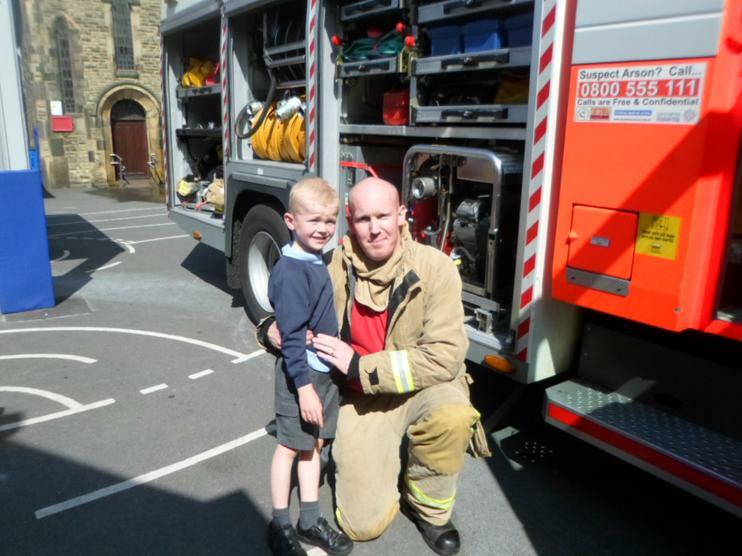 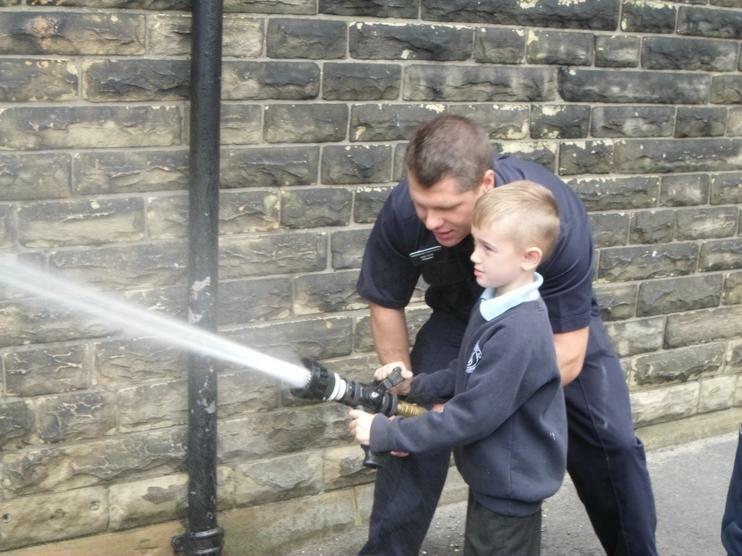 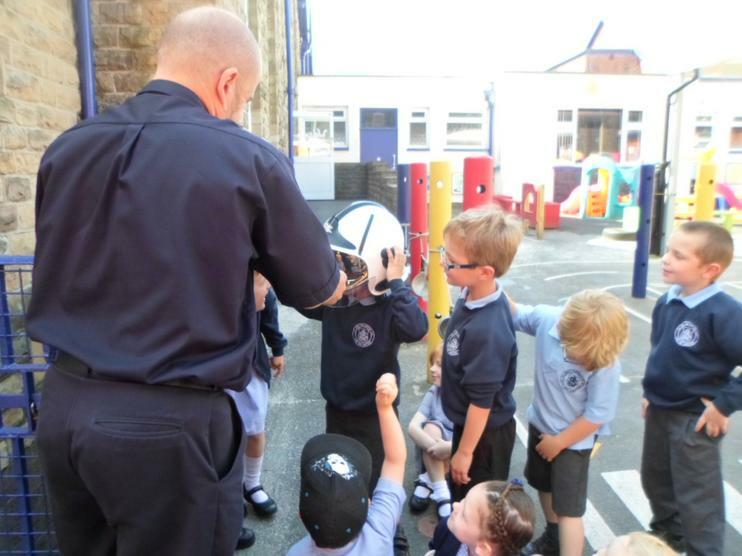 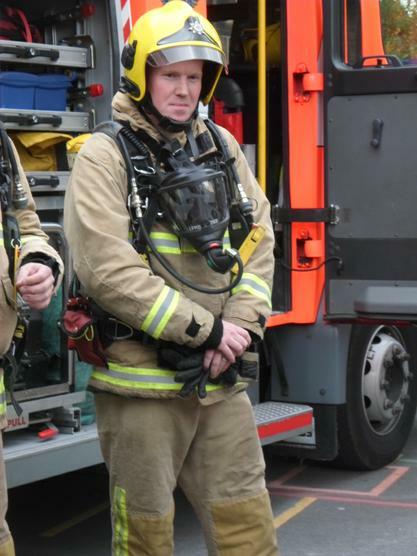 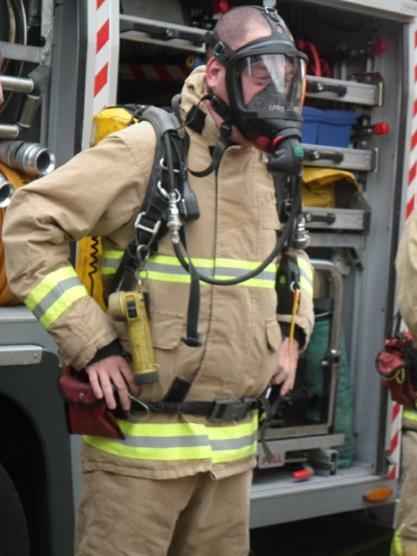 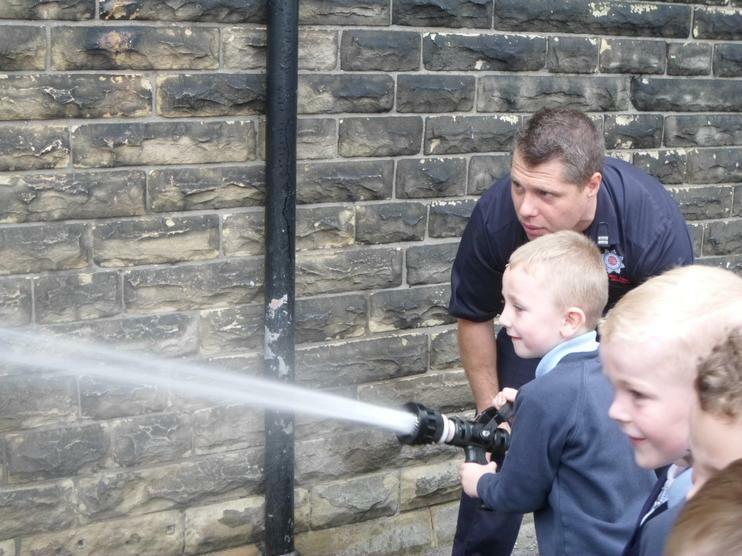 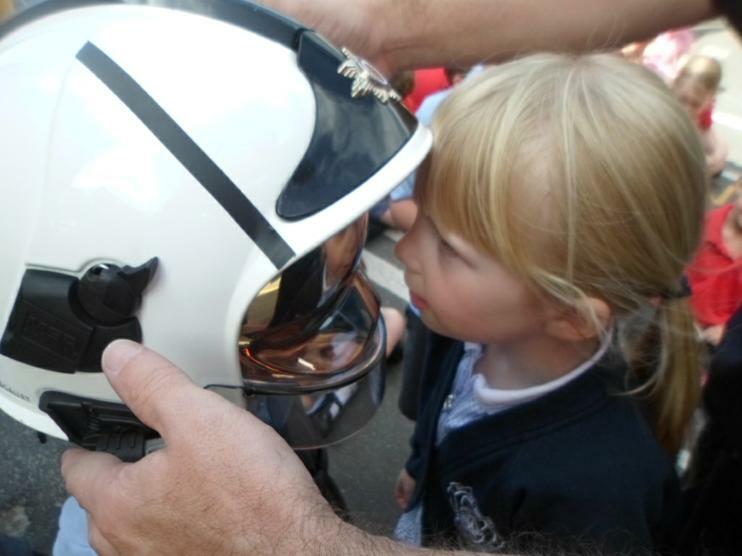 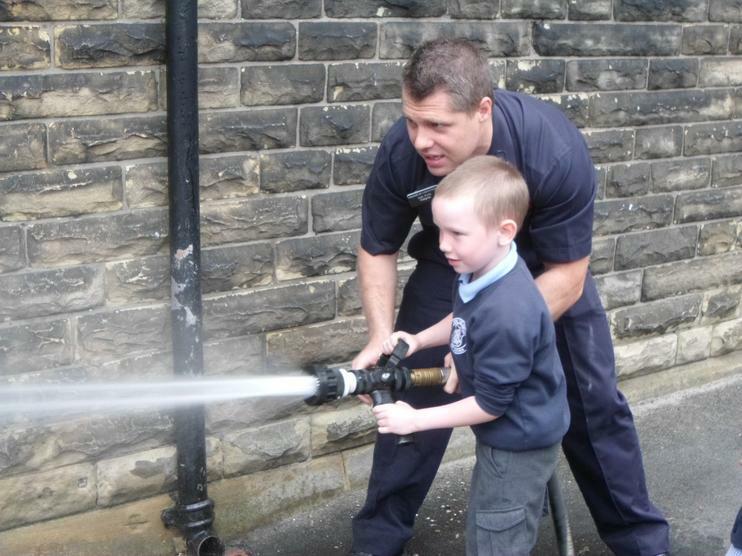 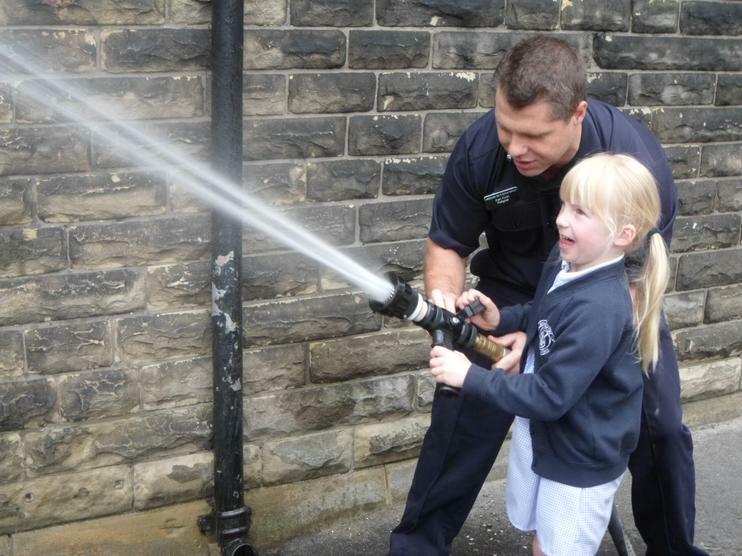 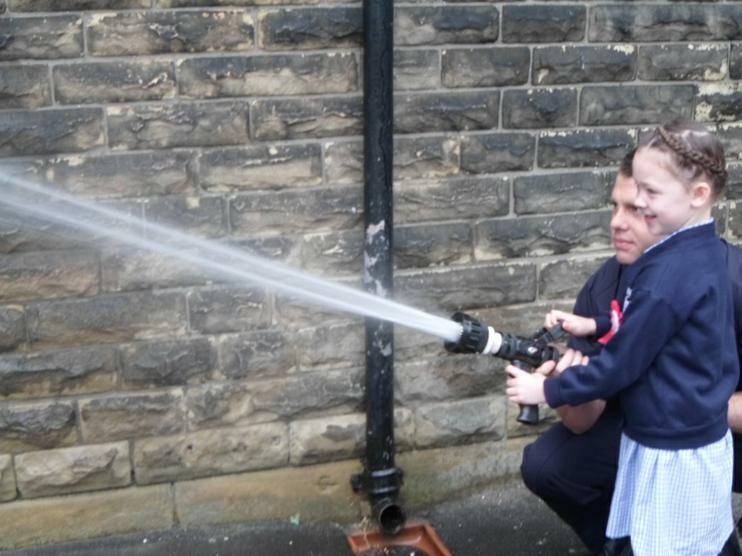 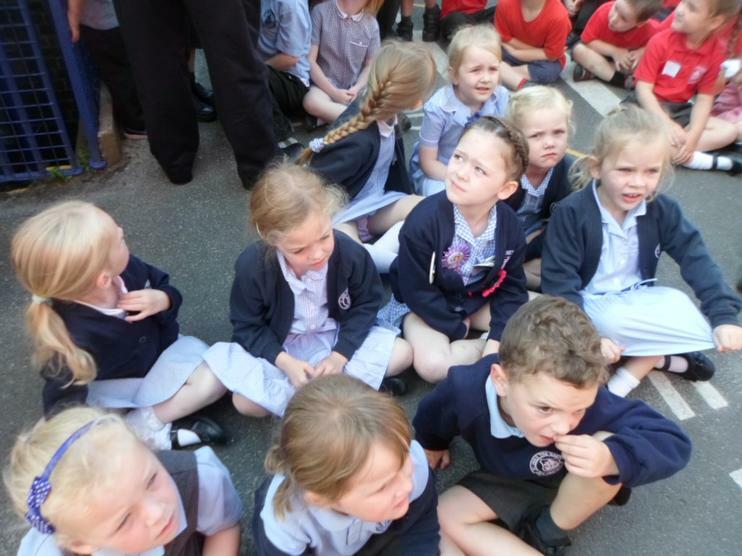 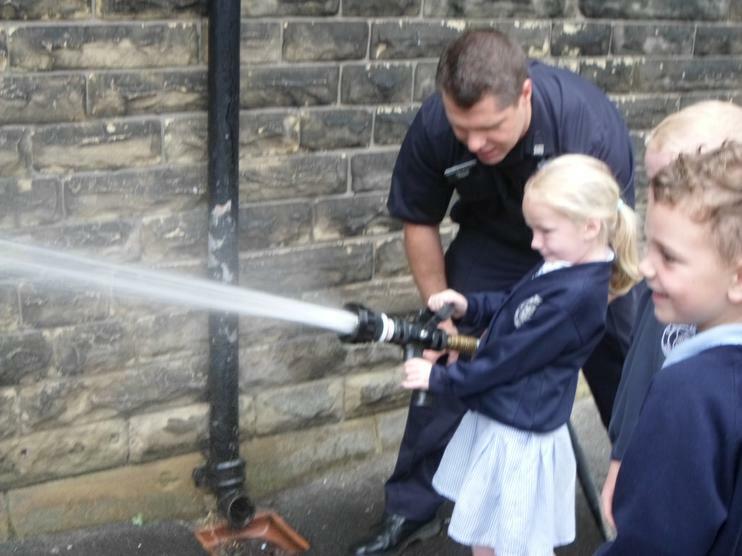 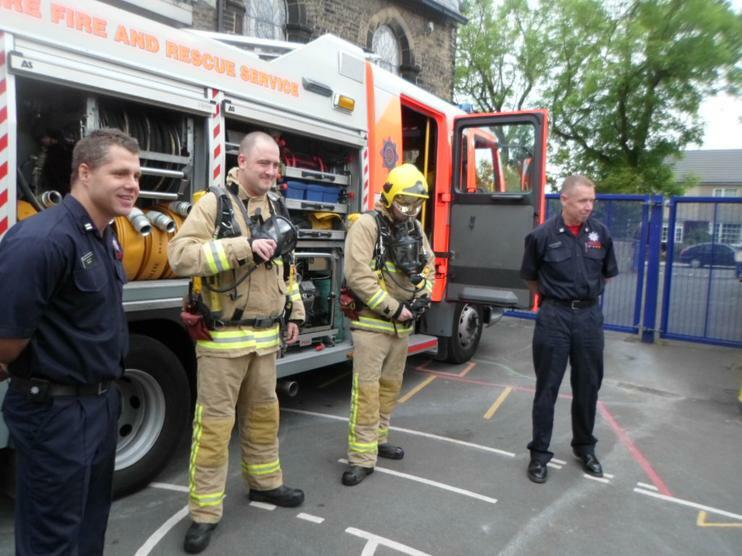 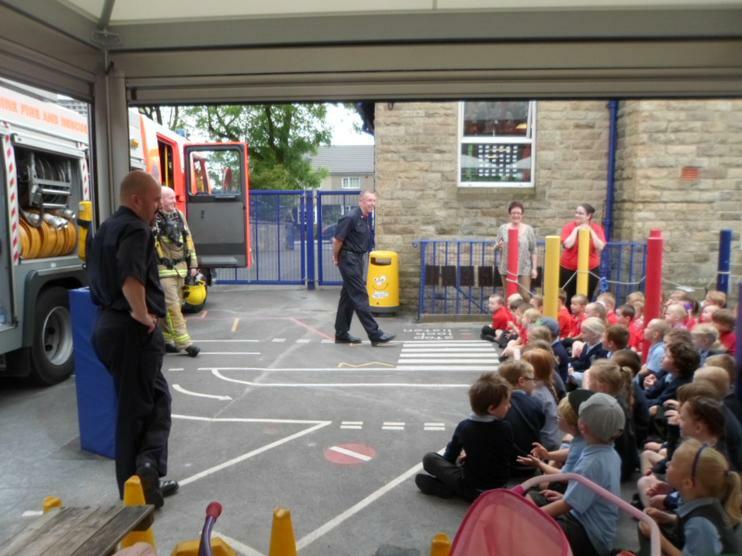 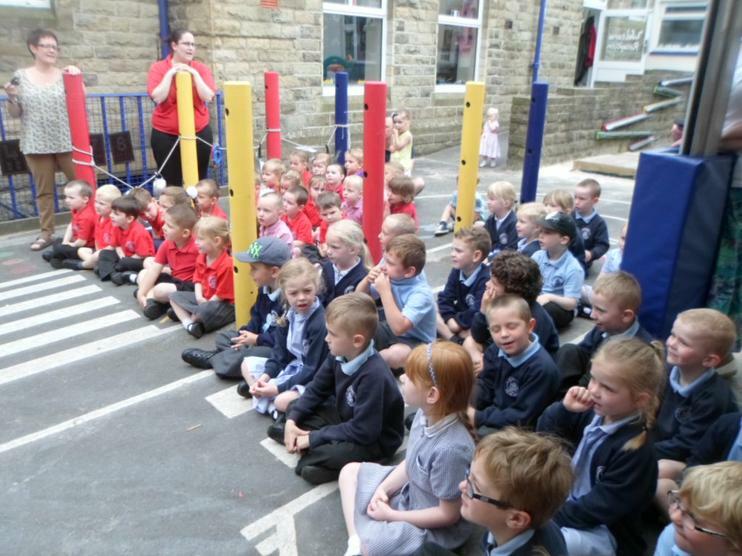 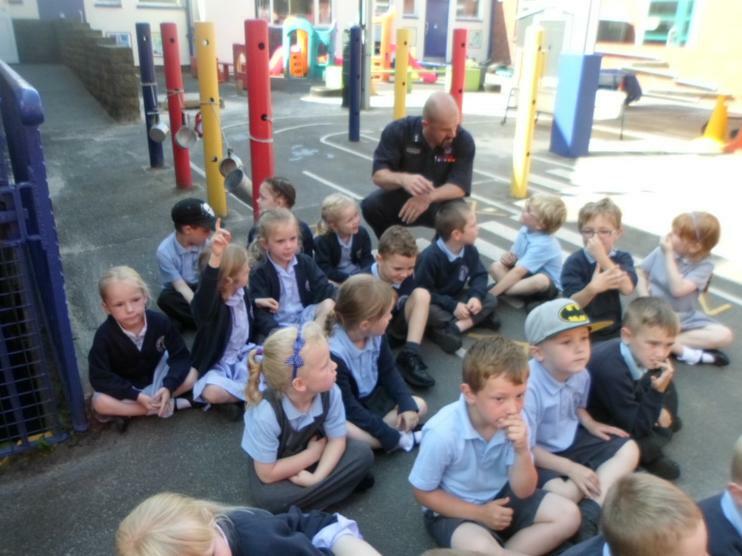 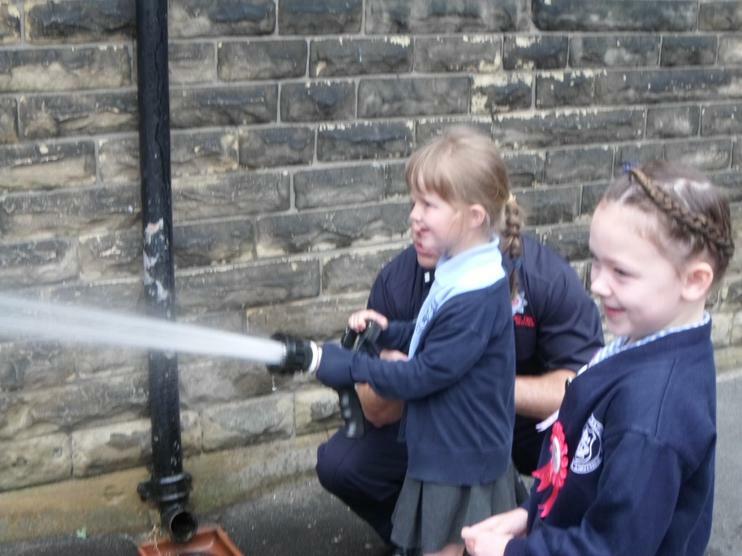 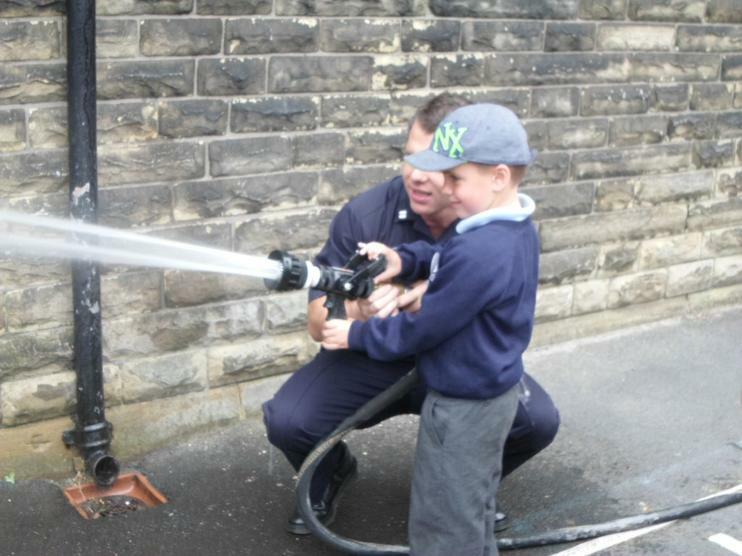 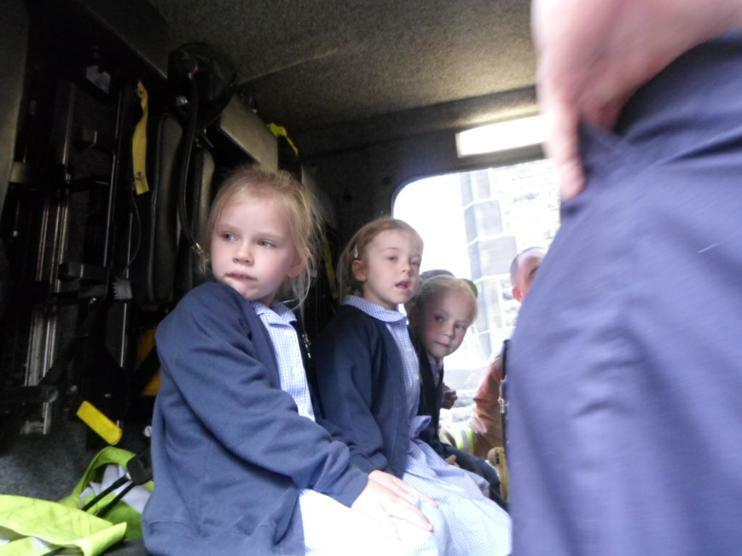 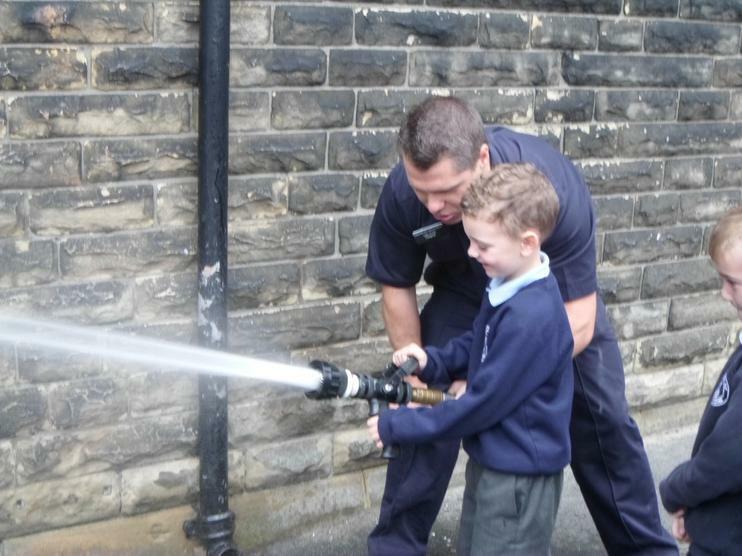 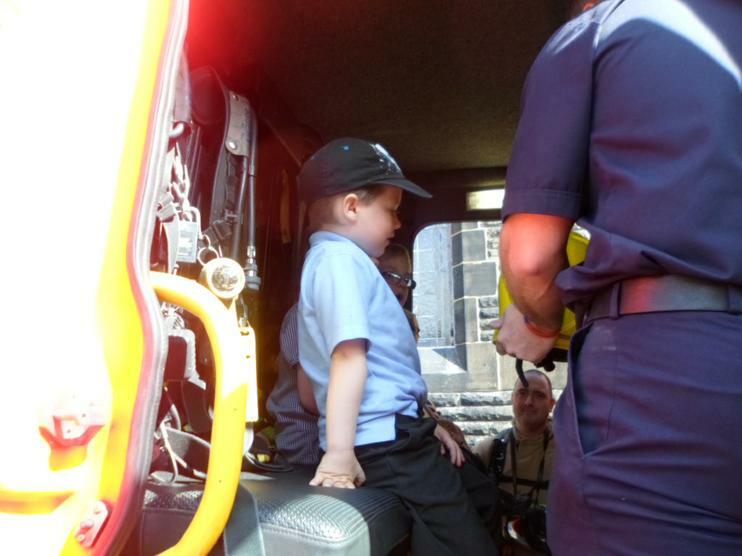 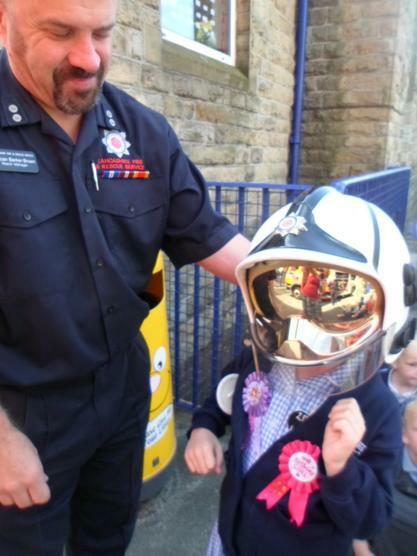 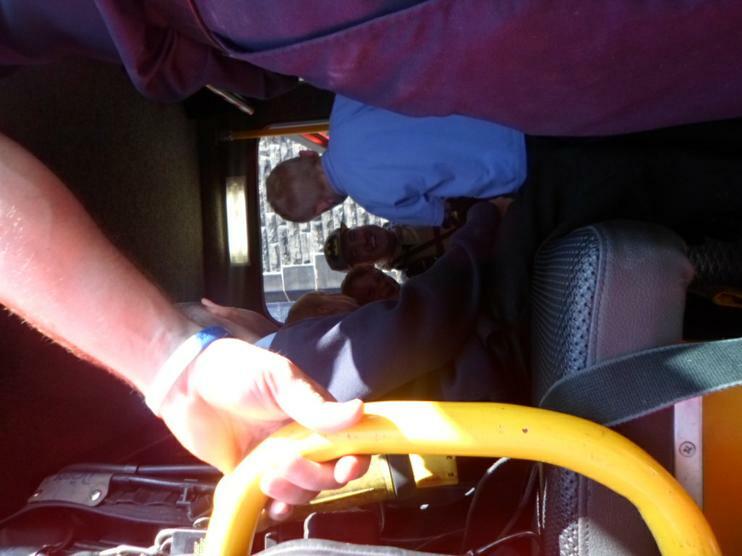 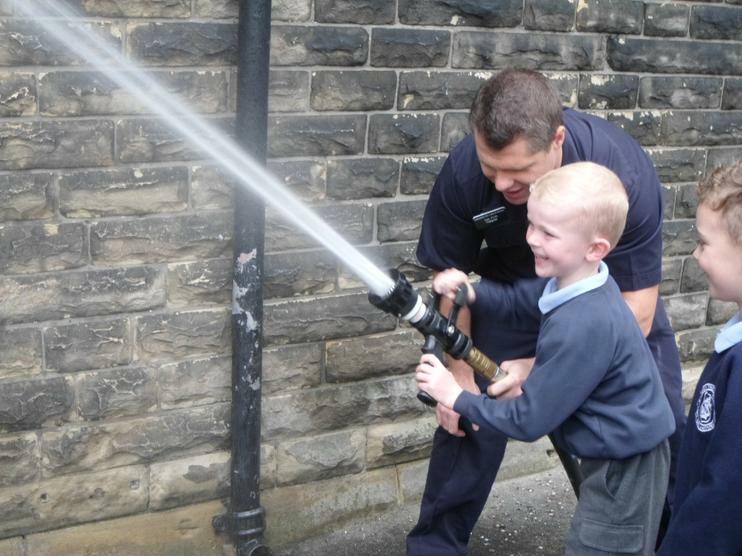 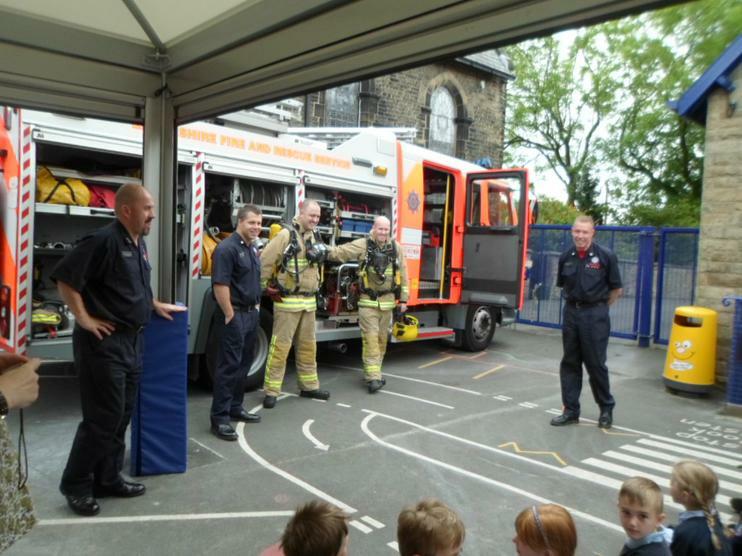 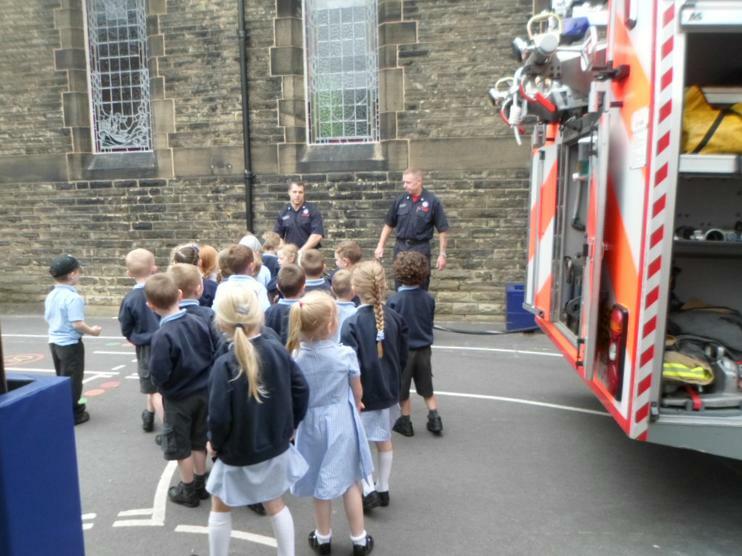 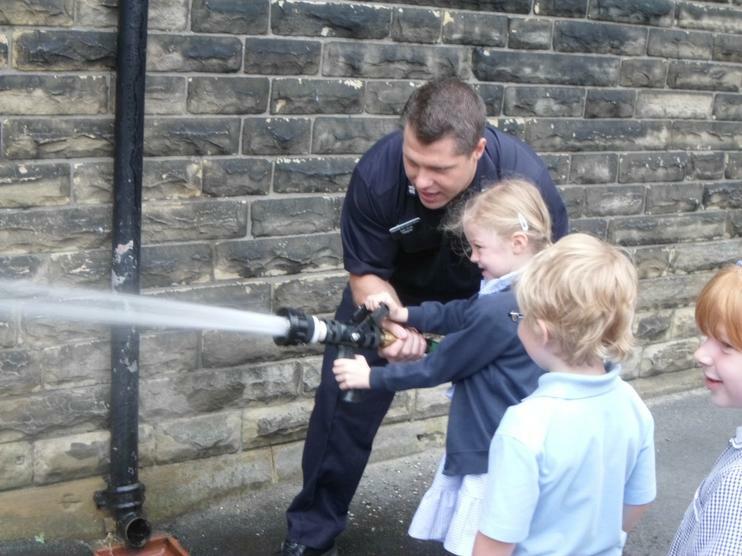 Padiham Fire Brigade came to show EYFS their Fire Engine. 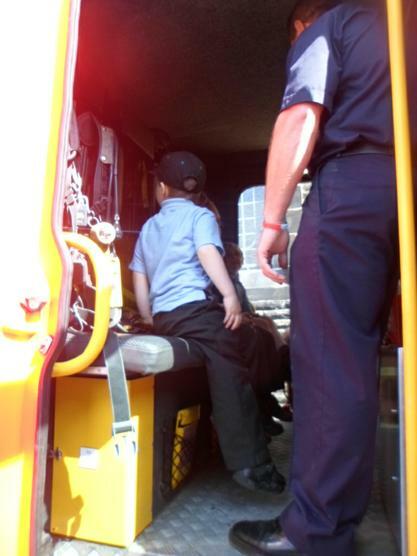 Reception's new topic is Transport. 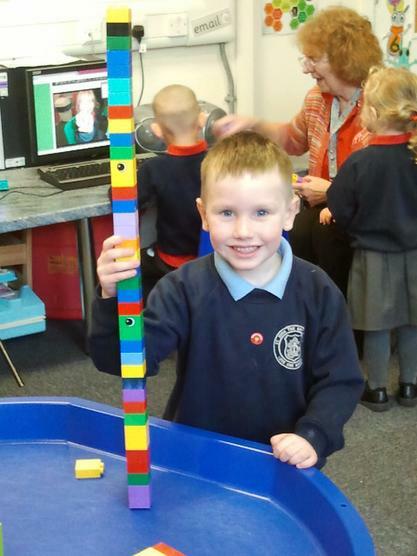 We have been looking at different vehicles and we have a Garage in class. 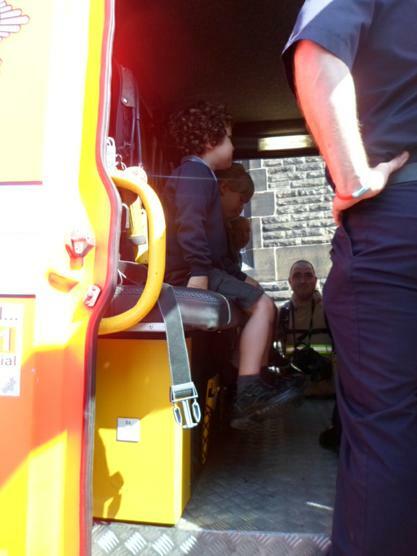 Oh my he is tiny! 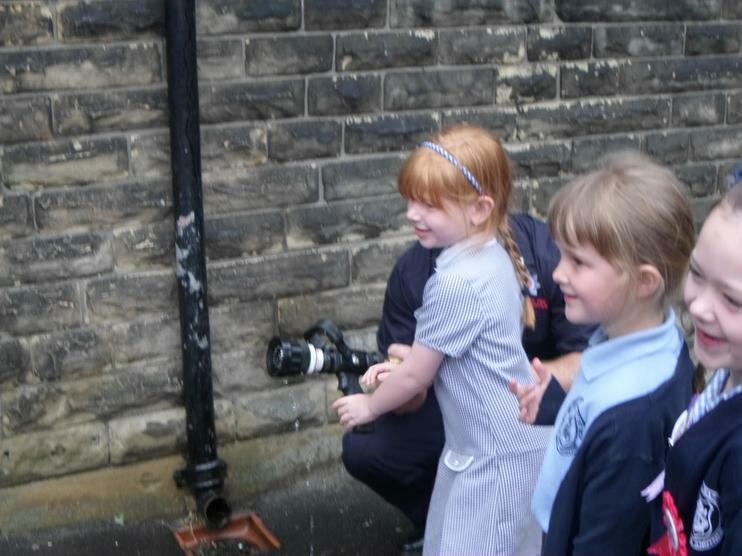 Just checking if Stanley is ok! 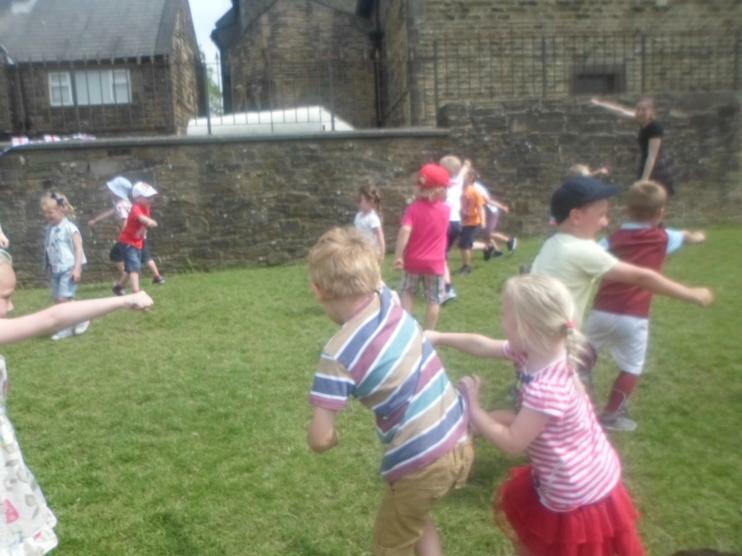 We are being Superheroes and we have special powers. 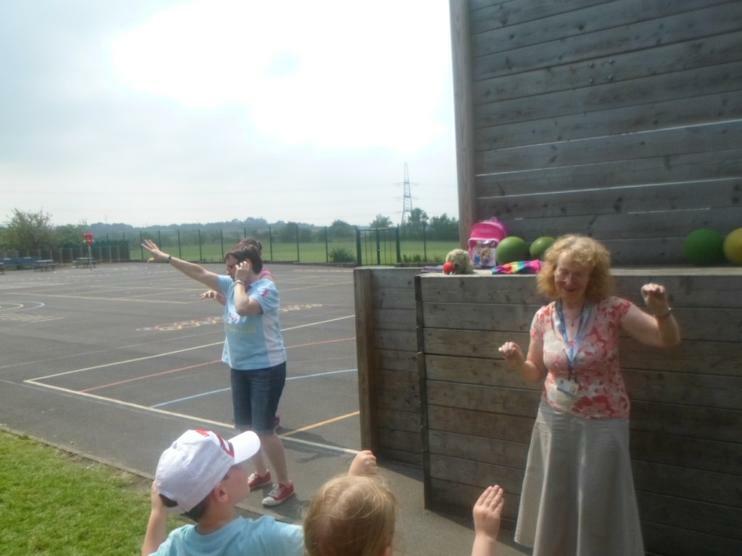 Can you guess what special powers we might have? 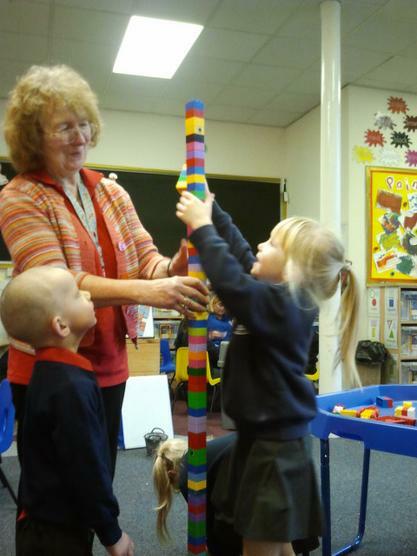 Problem solving in the Big Room! 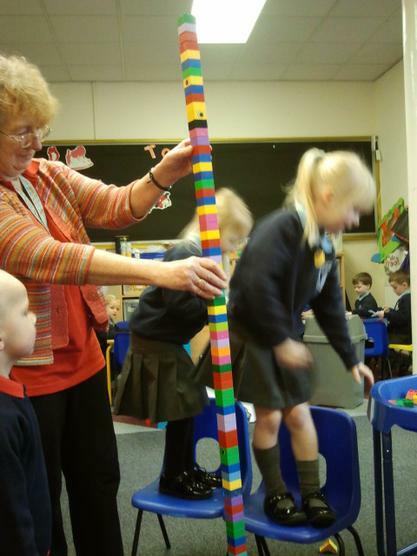 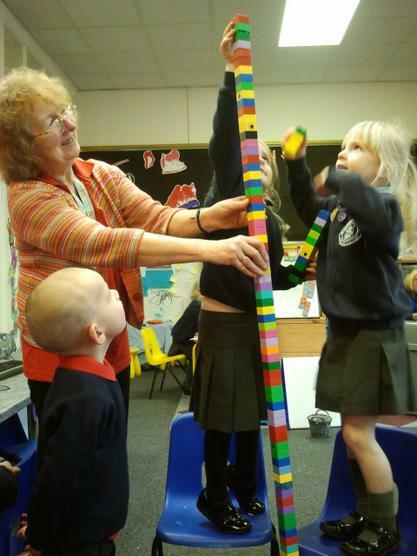 How can we make the tower taller than Mrs Bracken when we are smaller than her?